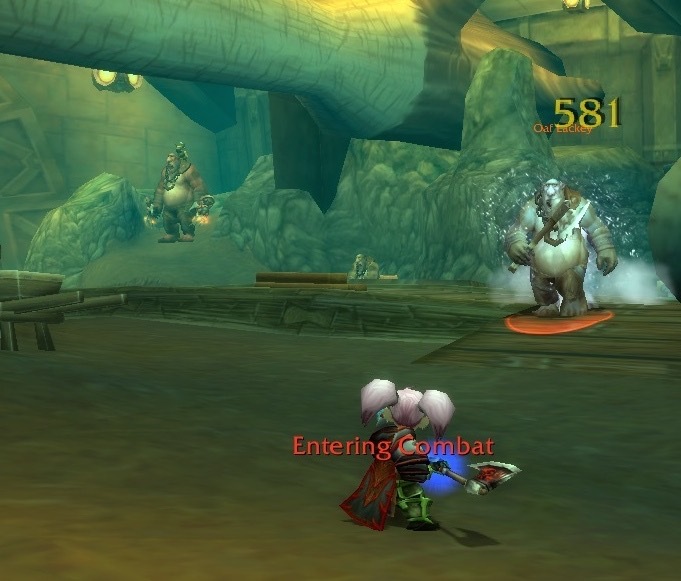 How many dungeons can a Gnome Death Knight do all by herself? The “Riglee Does Dungeons” series of blogs is my attempt to find out. 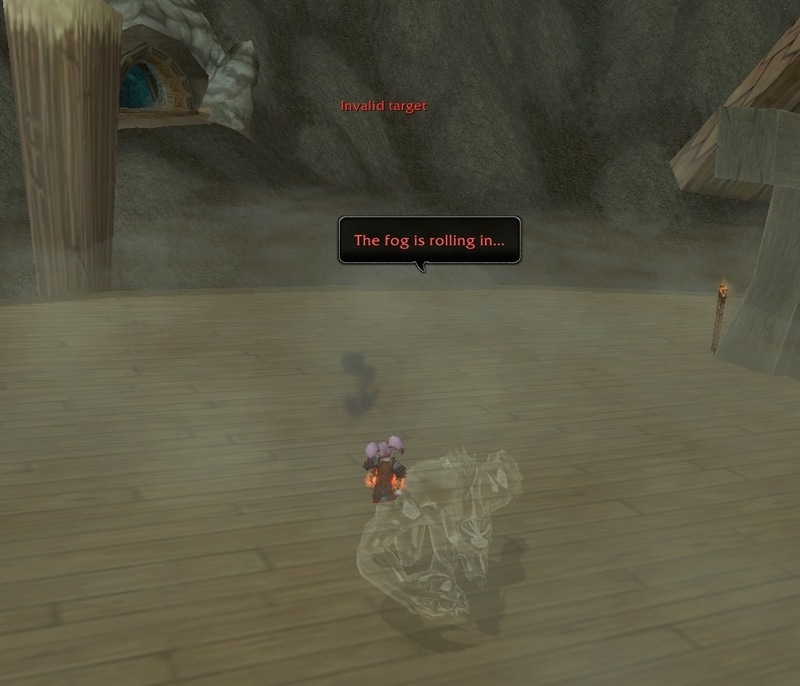 This time, Riglee ran through Deadmines. She was Level 67 when she started (and that hasn’t changed yet). 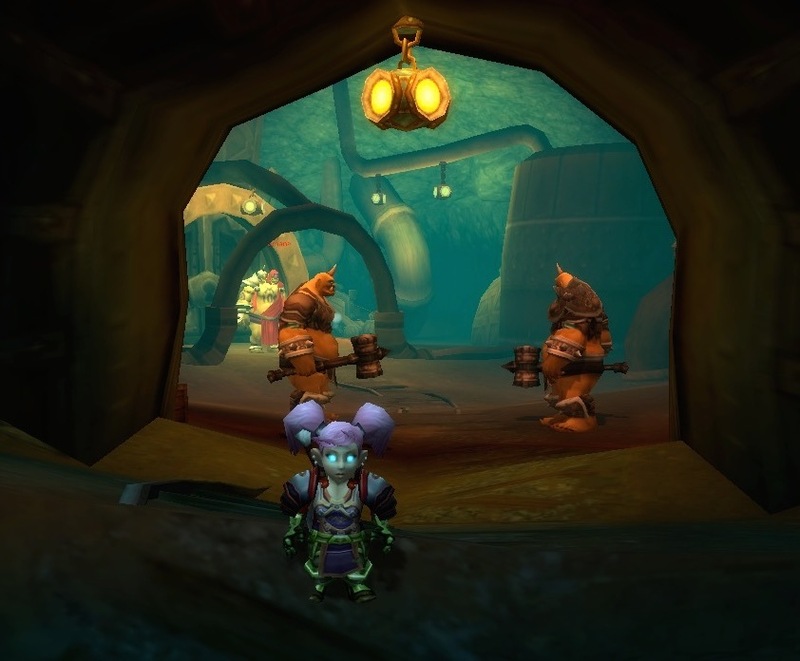 She is wearing the Gnomeregon Tabard as she goes through as many dungeons as possible. It will help increase her reputation with Gnomeregon. 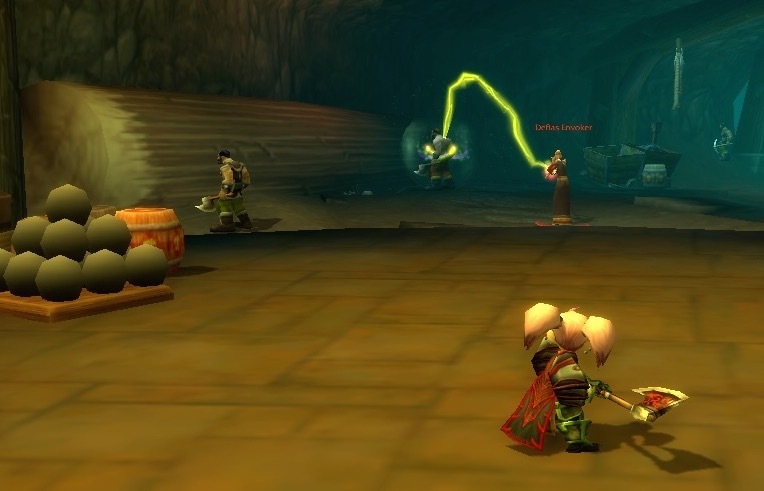 This blog shows Riglee’s trip through Deadmines. All of the screenshots that you see in this blog were taken on June 13, 2014. 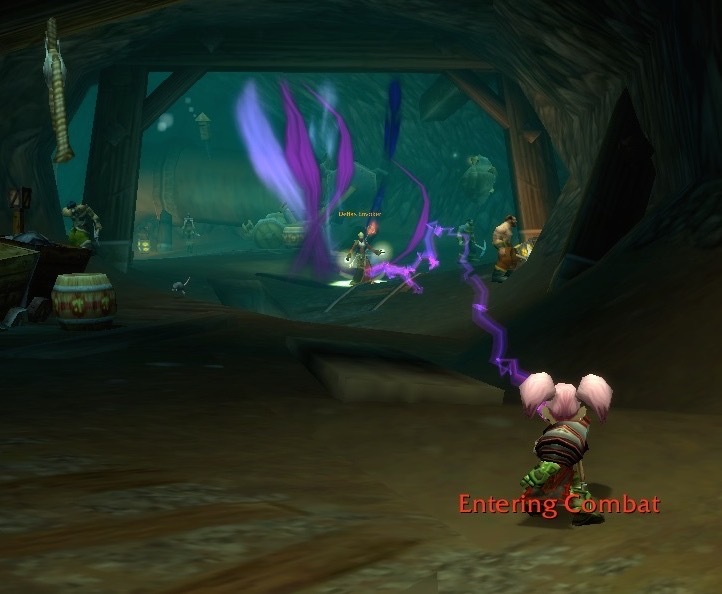 This was not the first time that I completed the Deadmines Dungeon. The first time was on October 17, 2010. 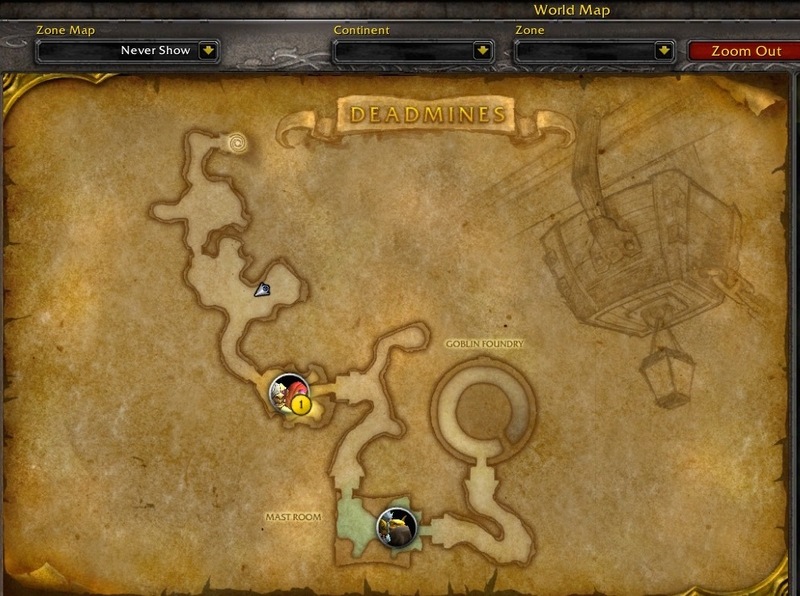 I could not remember where the Deadmines was located, so I consulted the Dungeon Information thingy, and then checked out the map. 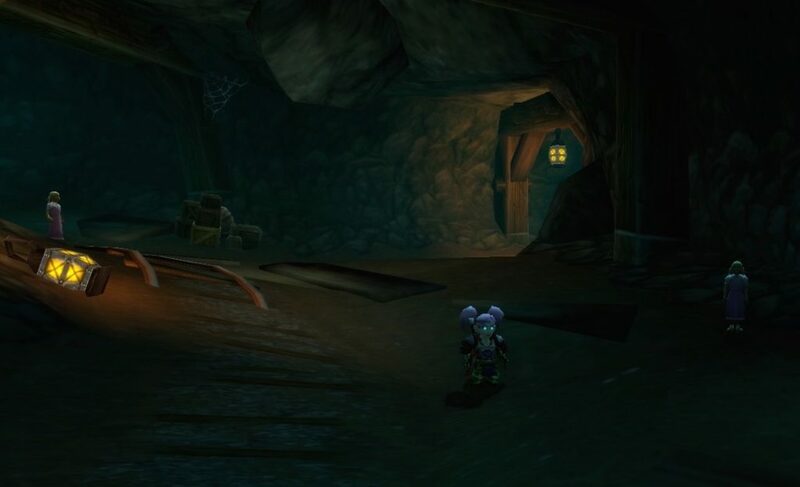 You will find the Deadmines in Westfall, in the town of Moonbrook. It’s all the way at the bottom of the map! 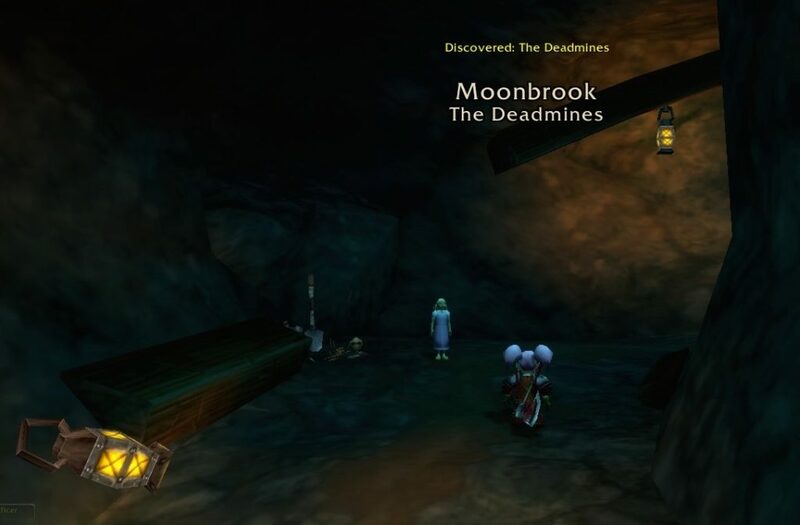 The Deadmines is located in the last building in Moonbrook. 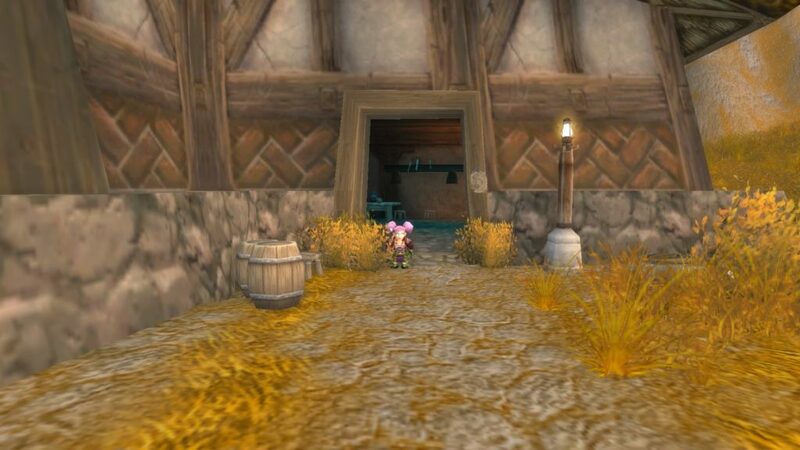 The town has a lot of homeless Stormwind citizens in it. Some of them are sitting against the building that you have to go in to start Deadmines. Go around to the side if the building, and look for a small door. That’s where you need to be! 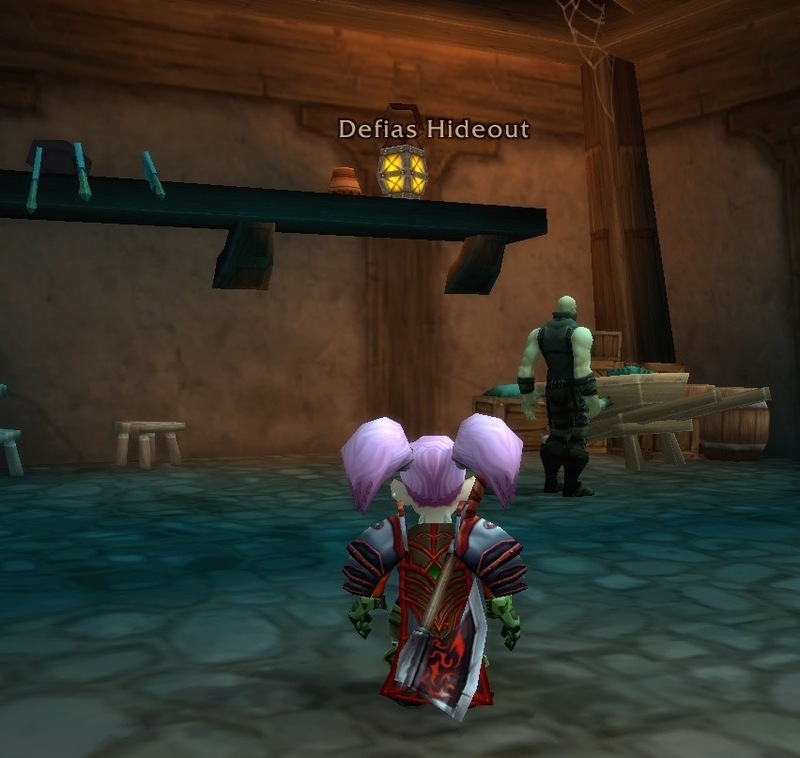 The first room is called “Defias Hideout”. 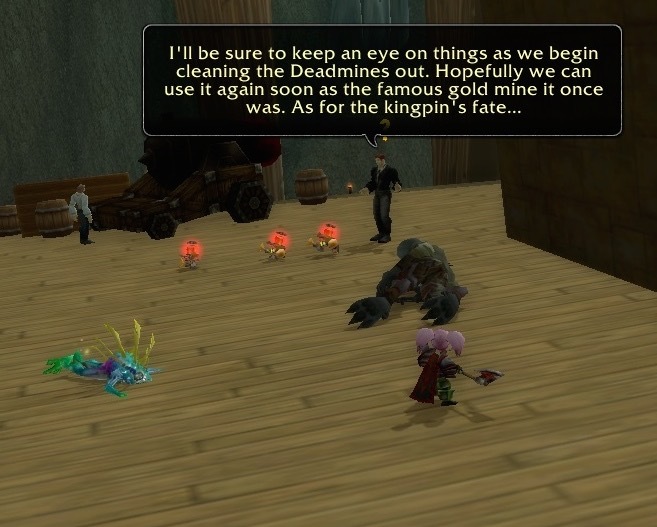 This is a holdover from how the Deadmines (and the town of Moonbrook) used to be. 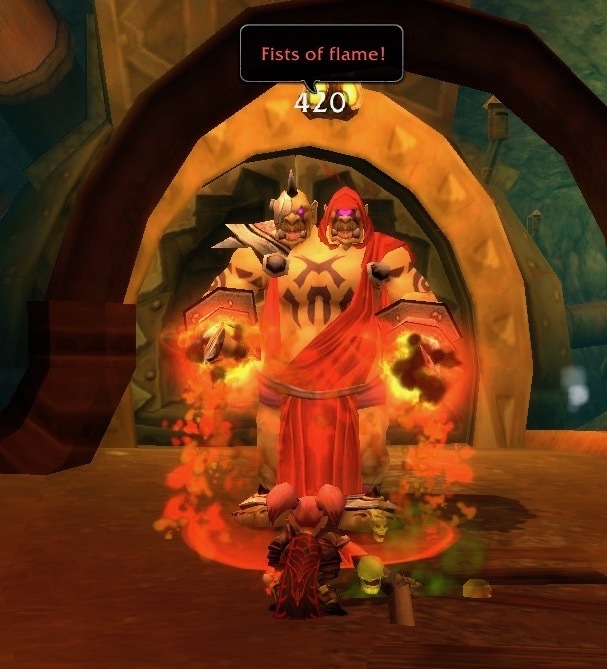 Today, there is only one Defias thug in there – and he will attack you. Go up the stairs to get into the actual Deadmines dungeon. There was a Small Time Hustler sleeping at the top of the stairs. 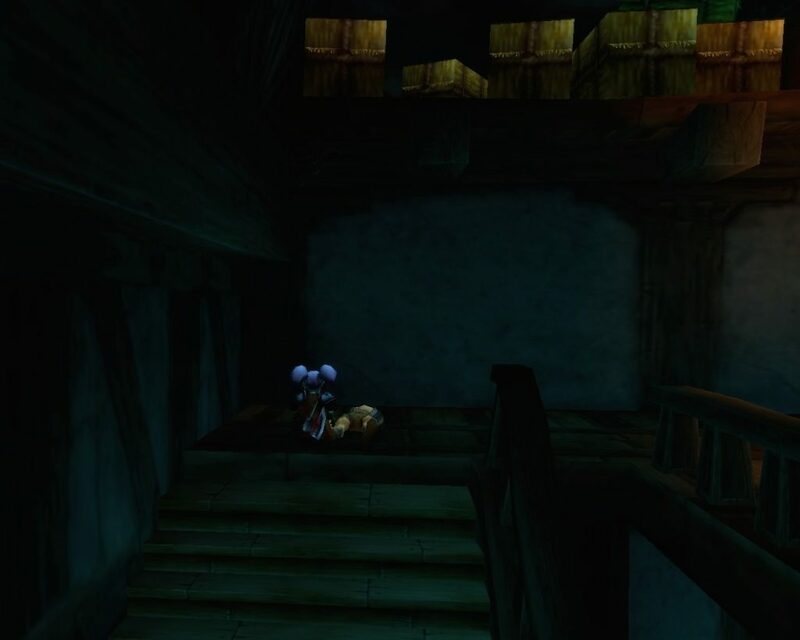 He is but one of many homeless Stormwind citizens who are now hanging around in the Deadmines. 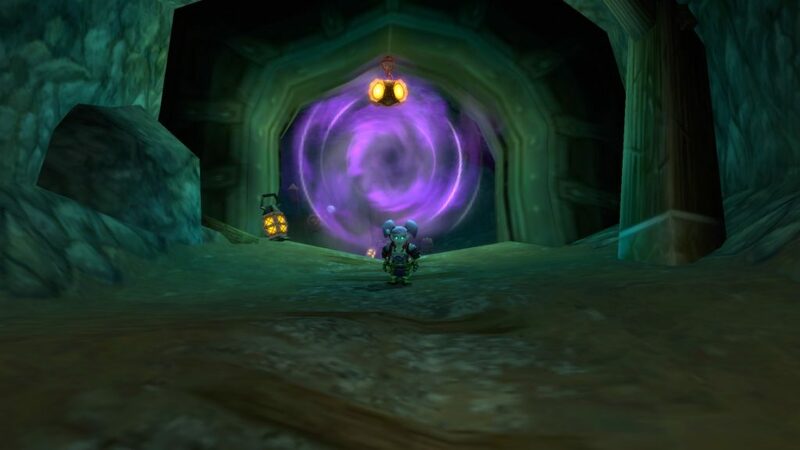 Eventually, you will find yourself in the Deadmines. 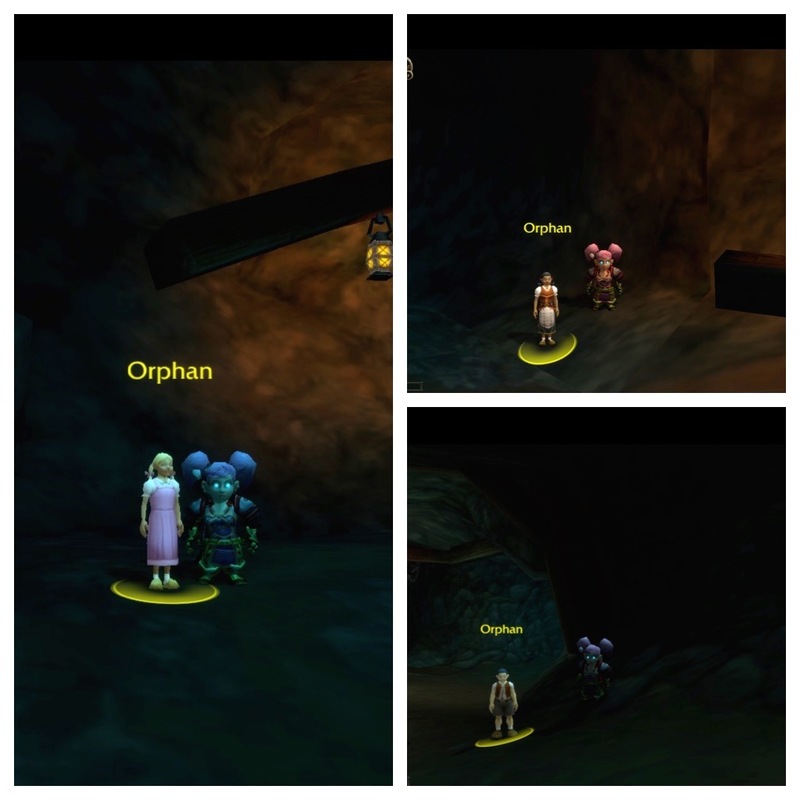 There is one (of many) orphans standing around down here. Riglee found the two little creepy girls from The Shining. They weren’t wearing the same dresses as the girls in the movie, but they stood there and stared in the same, spooky, way. 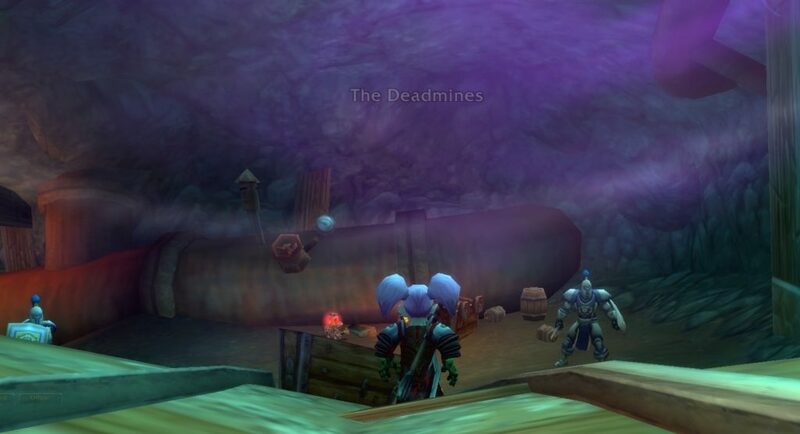 The first portion of Deadmines provided Riglee with the opportunity to level up her Mining profession. Death Knights start out at Level 55. As a result, they miss out on the time that low level characters spend leveling up their professions. 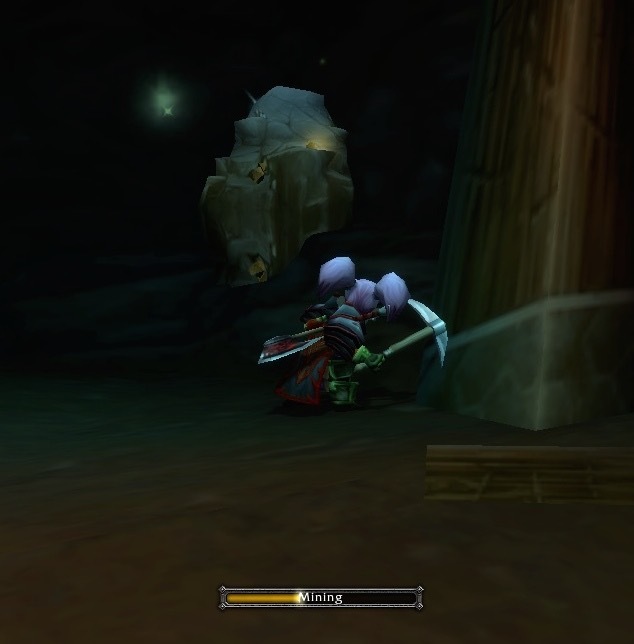 Riglee’s mining skill is so low that she was at the appropriate level to mine the ore in Deadmines. This purple portal is what you should be looking for. 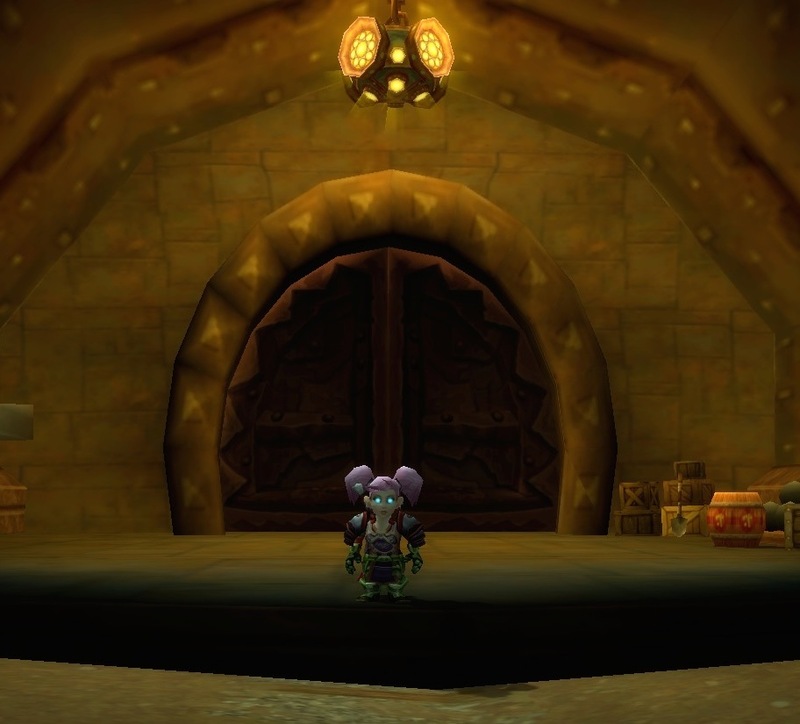 Walk into it, and you will be transported to the “dungeon” part of Deadmines. 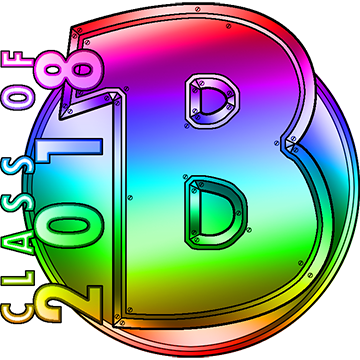 This screen will appear as you are transitioning. 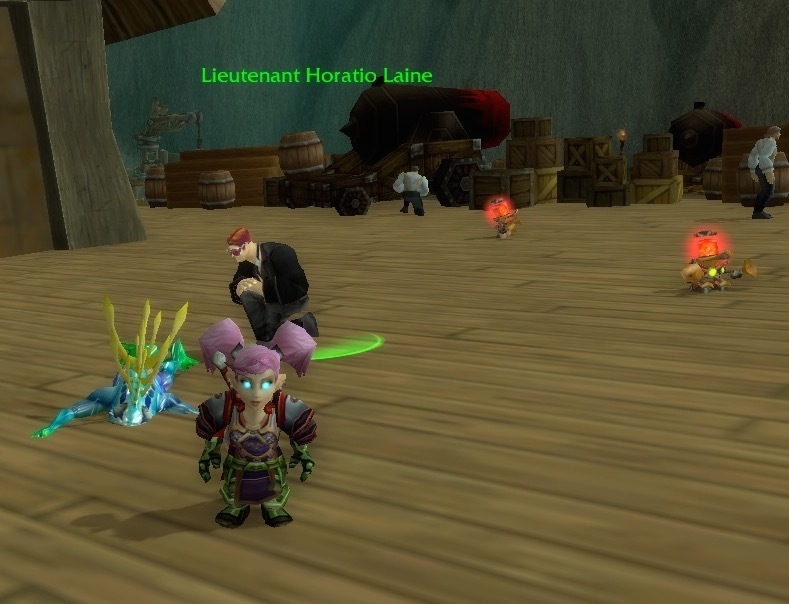 Lieutenant Horatio Laine is too dressed up to be hanging out in a mine. 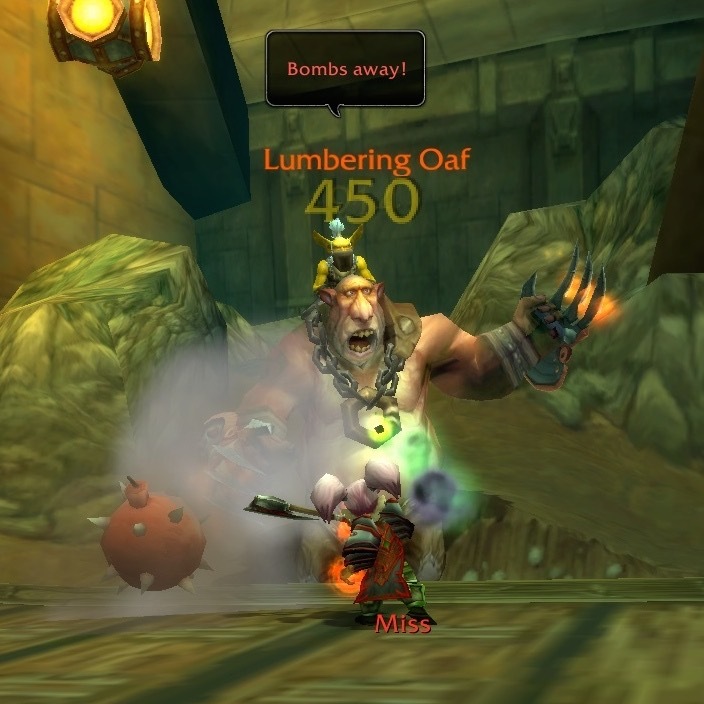 The first time you go through Deadmines (after it had been updated) you will get a quest from him. Several other quests will follow as you go through this dungeon. 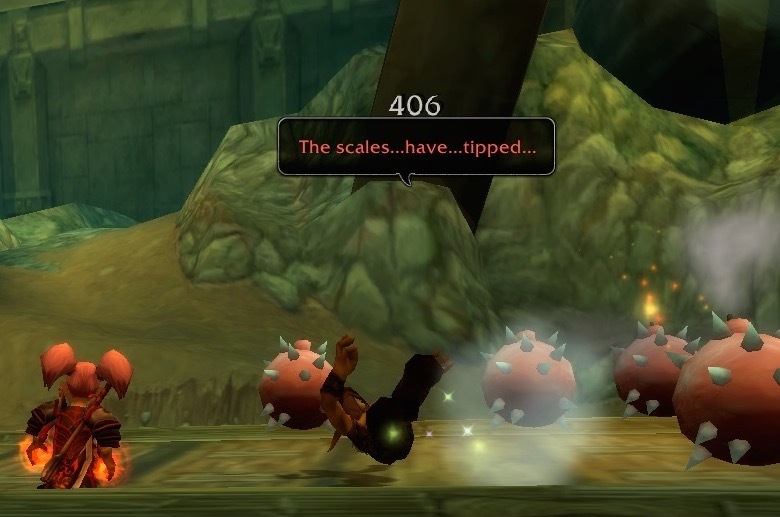 The first quest he gives you points you towards the first “big bad” of Deadmines. 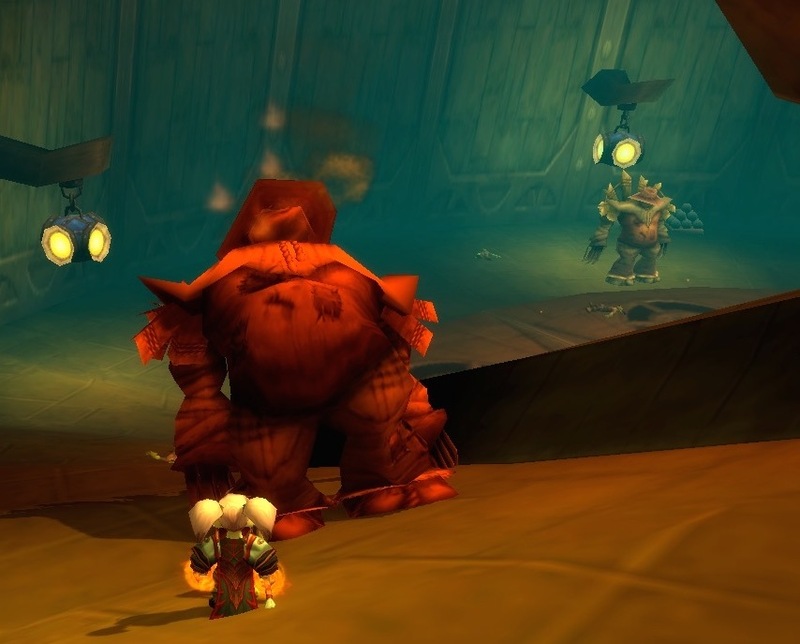 Lieutenant Horatio Laine: If we’re to find out what’s going on down here it looks like we’re going to have to fight our way through the entire Deadmines! 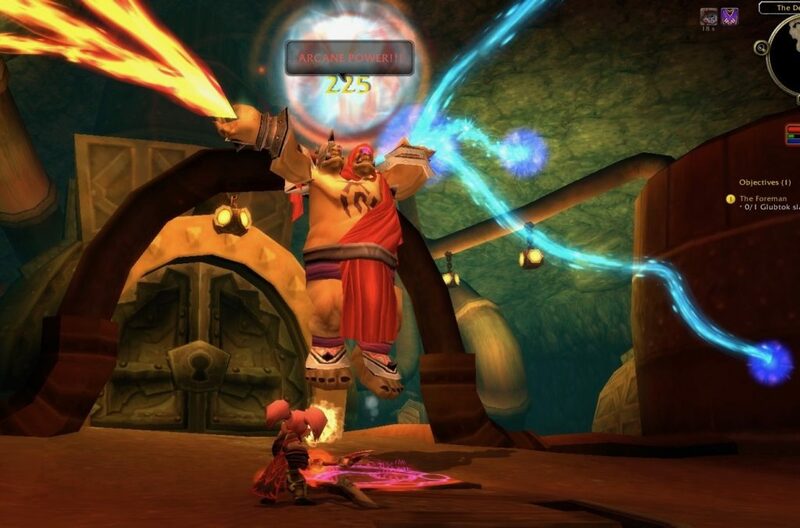 Glubtok the Foreman will be the first major foe you encounter, a powerful ogre magi. Be careful, he possesses the brute strength of his race backed by his wicked spellcasting! Take this communicator so that I can keep in touch with you as we continue our investigation. Be careful down there. 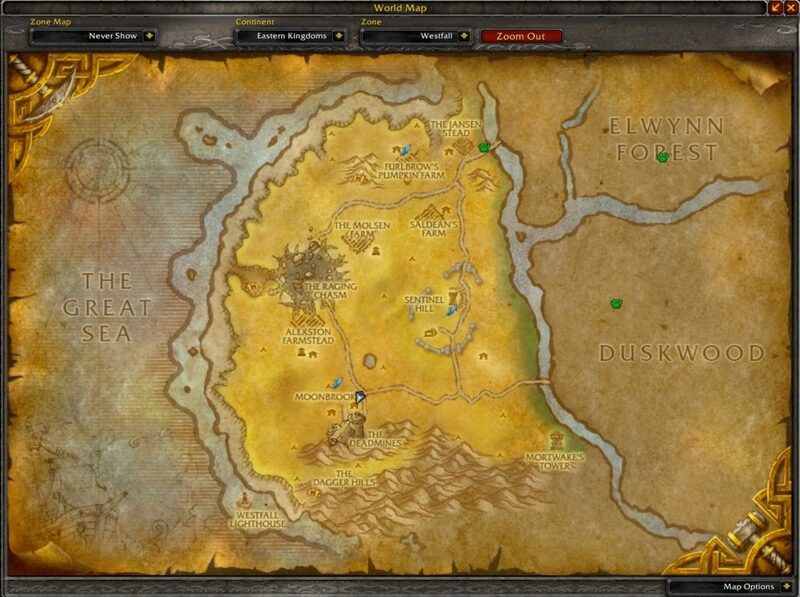 I am really good at getting lost, and needed to consult the map of Deadmines often. Glubtok the Foreman is back there, protected by two Ogre Henchmen. 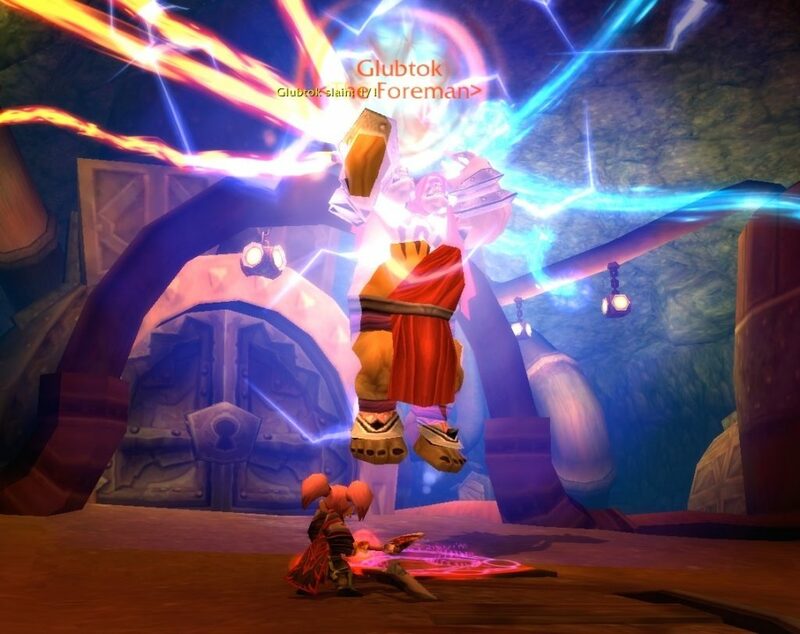 Glubtok the Foreman is an interesting fight because he basically kills himself. 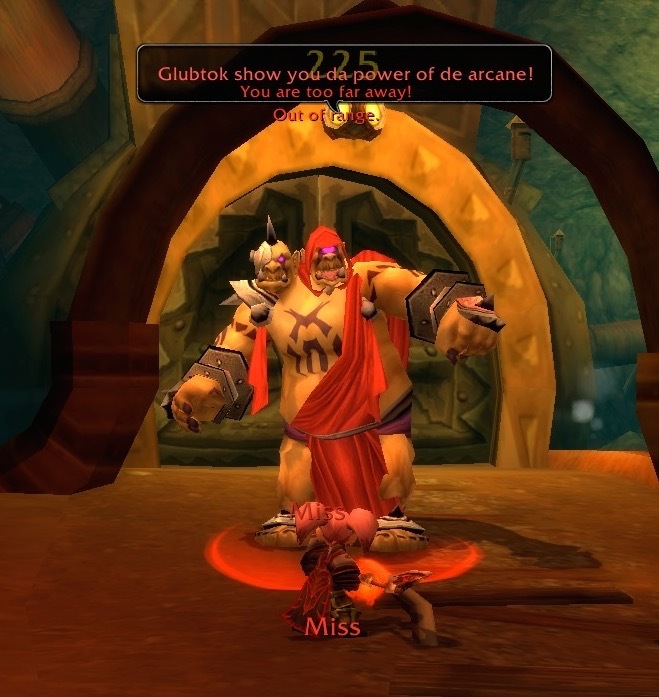 Glubtok: Glubtok show you da power of de arcane! The screen says “Glubtok Slain”. 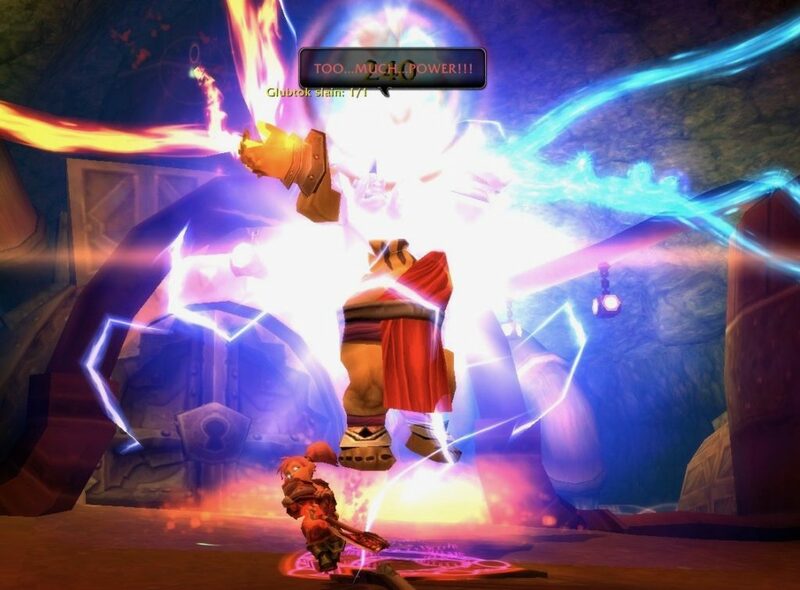 He killed himself by losing control of his Arcane Power. 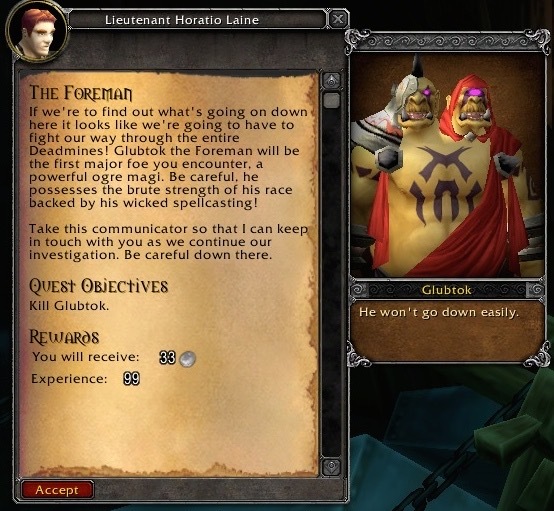 Glubtok the Foreman has become a pile of dust. Lieutenant Horatio Lane compliments Riglee on her “clean kill”. 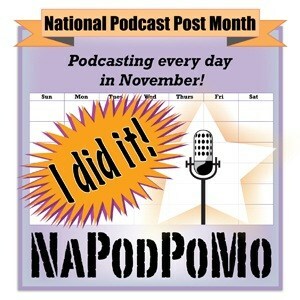 Lieutenant Horatio Lane: Nicely done! A clean kill. Now, continue on and see what else you can find! We’ll crack this case wide open with you on our side, I just know it. 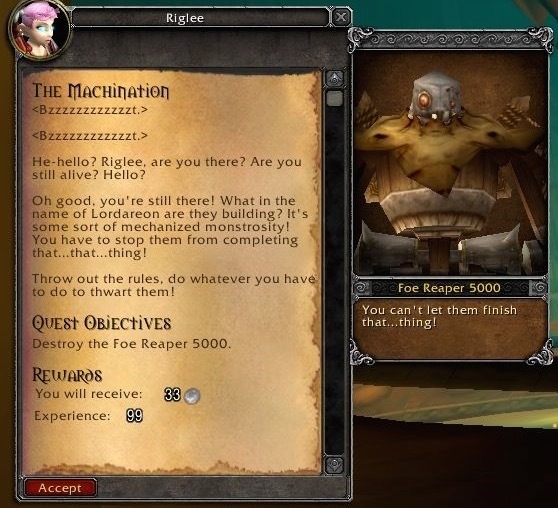 In the next section, Riglee had to fight Goblin Overseers. All of them were male and in charge of mining monkeys. 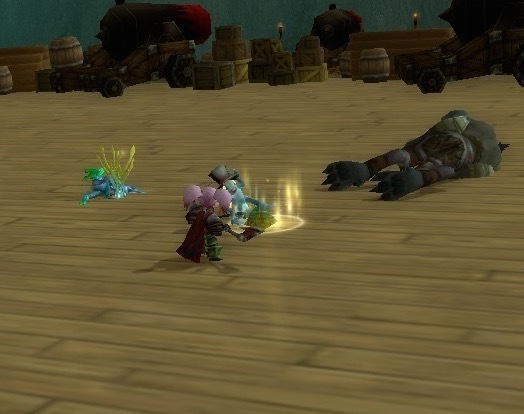 Where are the female Goblin Overseers? There aren’t any. 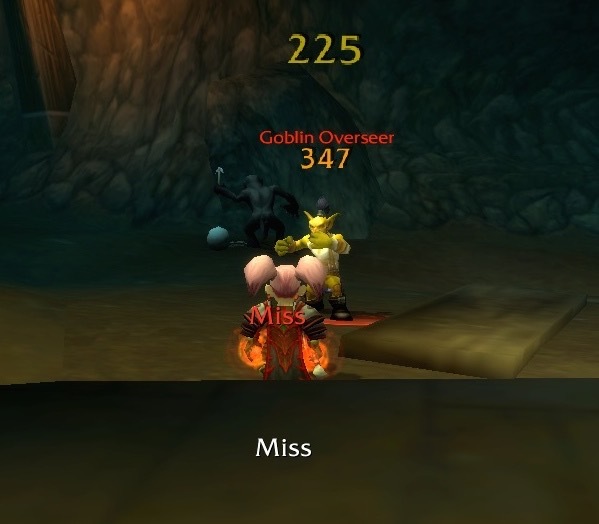 Instead, the female Goblins have the title of “Mine Bunny”. They walk around with plates of refreshments for the male Goblin Overseers. 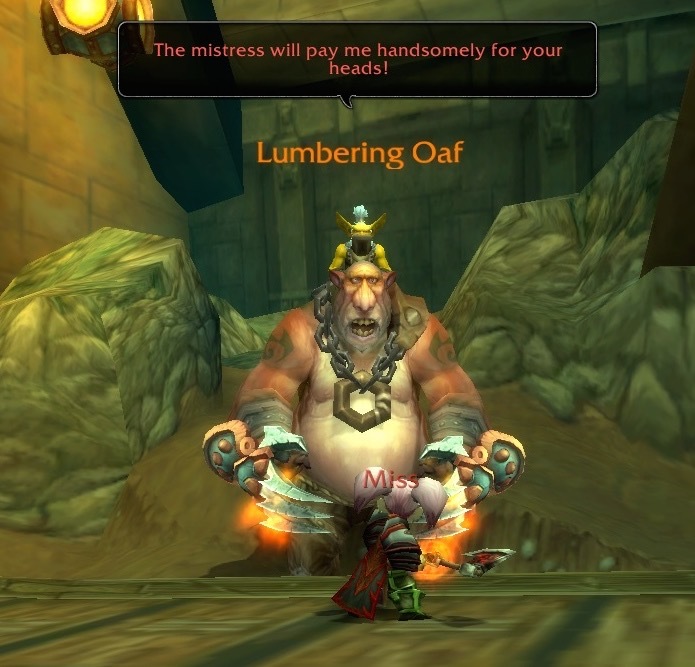 Either the Goblin culture is incredibly misogynistic, or… whoever made that decision at Blizzard is. The next door is guarded by two Oaf Lackeys. They are slow and dumb. It just feels wrong to fight them. 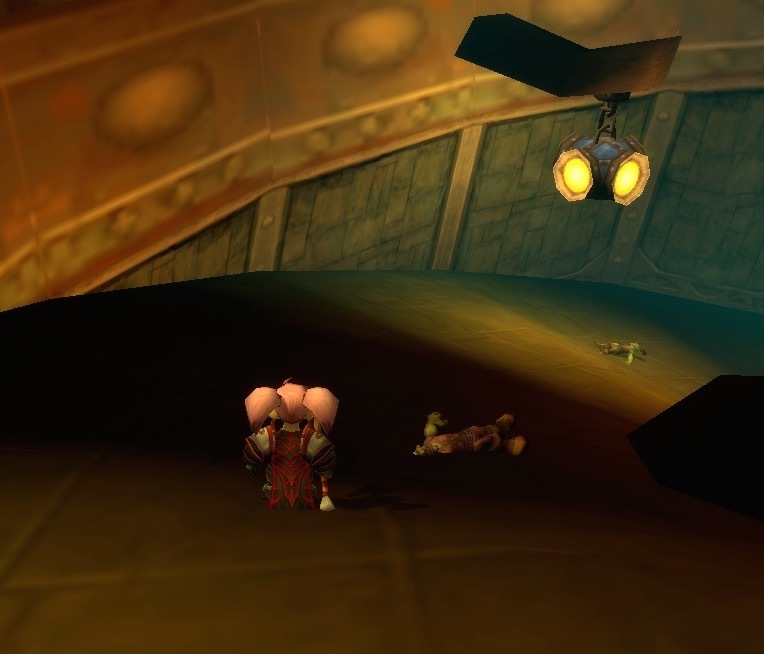 The next section of the Deadmines is the Mast Room. 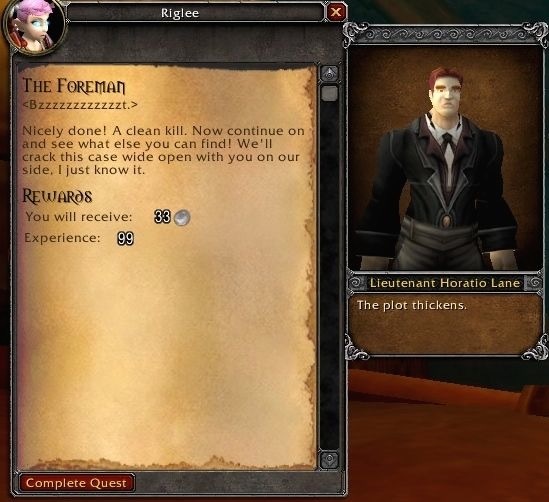 Another quest from Horatio Lane pops up. Lieutenant Horatio Lane: Hello, can you hear me? Excellent! It looks like Helix is in charge of building an enormous mast. 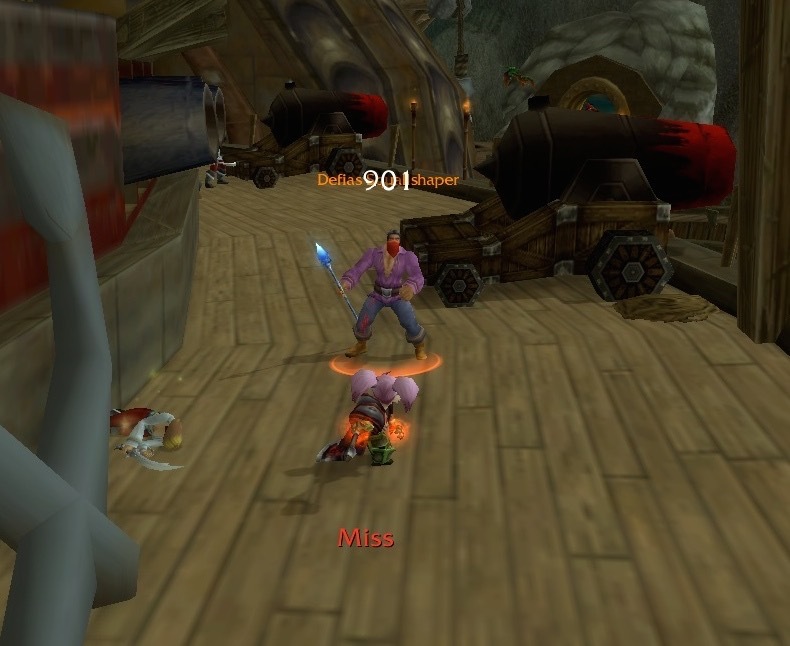 You don’t think they’re trying to finish the Defias Juggernaut, do you? You’d better go investigate Riglee, and don’t be afraid to get your hands dirty! You have clearance to use deadly force if necessary and, let’s face it, it’s probably going to be necessary. There are more dumb Oaf Lackeys to fight. In the back, you can see Helix Gearbreaker (the next “big bad” of Deadmines) riding “a ferocious lumbering oaf”. I don’t have a Goblin character, and don’t know much about the lore behind them. 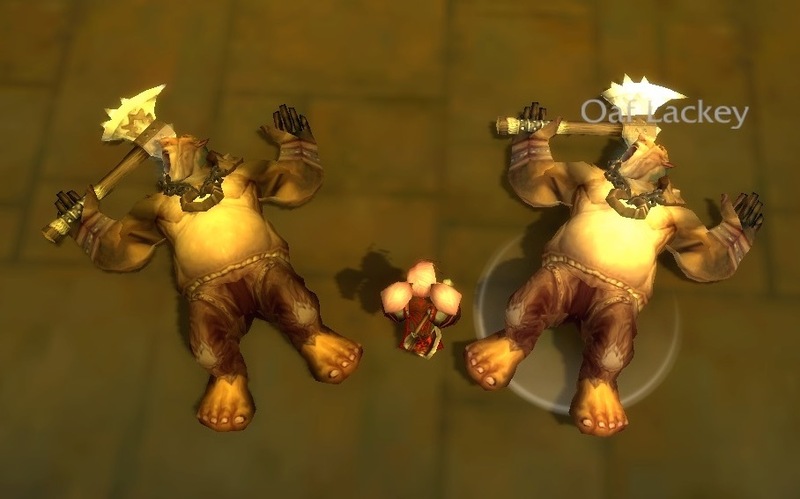 What I’m seeing in Deadmines makes me think I wouldn’t want to be one. Next, Riglee has to fight Helix Gearbreaker. To do it, she must also fight his Lumbering Oaf. Again, this just feels wrong. Helix Gearbreaker: The mistress will pay me handsomely for your heads! Helix Gearbreaker is referring to Riglee as though she is plural. Deadmines was intended to be done with a group of players, so this is understandable. The wording feels a little odd when you solo a dungeon. The part that perplexes me is that Helix Gearbreaker is referring to “the mistress” who appears to be his superior. Who is she? 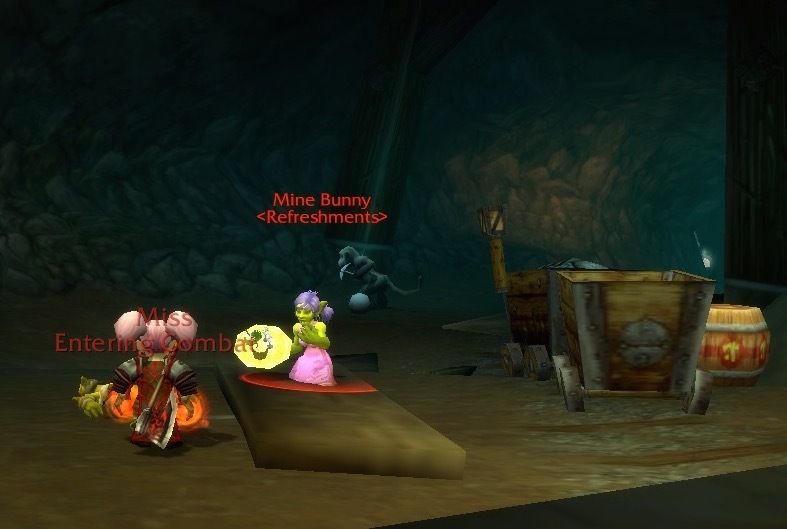 It is a bit of surprise to see the “big bad” of the Goblin section in Deadmines, (where the female Goblins are called “Mine Bunny” and expected to hand out refreshment to their male Goblin coworkers) accepting a female as his superior. Is there some lore I’m missing that would help make sense of this? Surviving this part of the fight requires you to dodge bombs while fighting the Lumbering Oaf. When you kill the unfortunate Lumbering Oaf, Helix has another threat for you. Helix Gearbreaker: I didn’t need him! 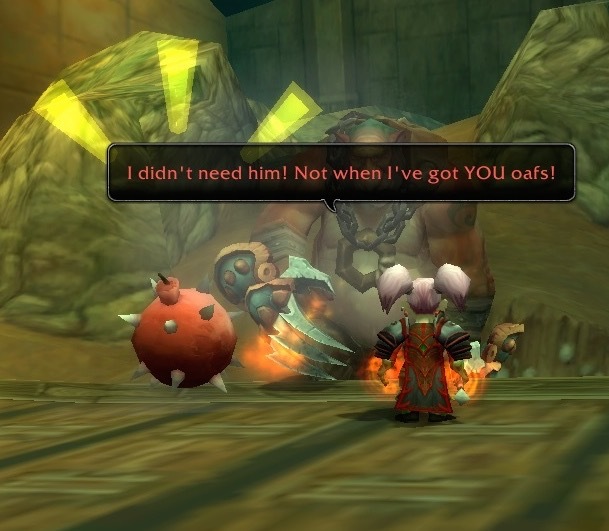 Not when I’ve got YOU oafs! I had a feeling that the “big bad” would, at some point, call in all the Oafs that were sitting on the floor, ignoring me. Kill them all before you engage Helix Gearbreaker, and there won’t be any Oafs to come to his rescue. Horatio Lane sent Riglee another message after she killed Helix Gearbreaker. Lieutenant Horatio Lane: Hey, its Horatio. That was intense! 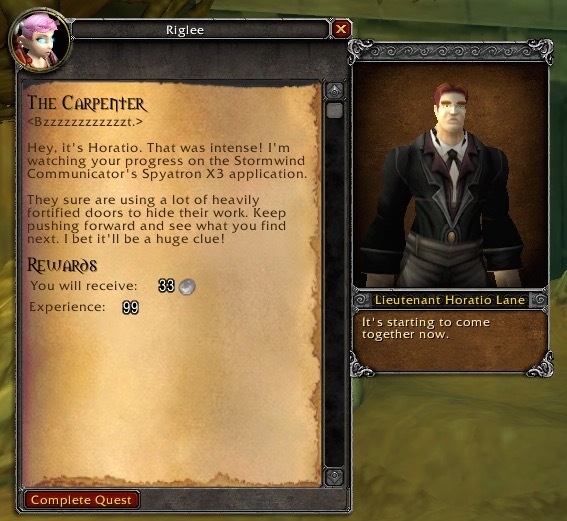 I’m watching your progress on the Stormwind Communicator’s Spyatron X3 application. They sure are using a lot of heavily fortified doors to hide their work. Keep pushing forward and see what you find next. I bet it’ll be a huge clue! 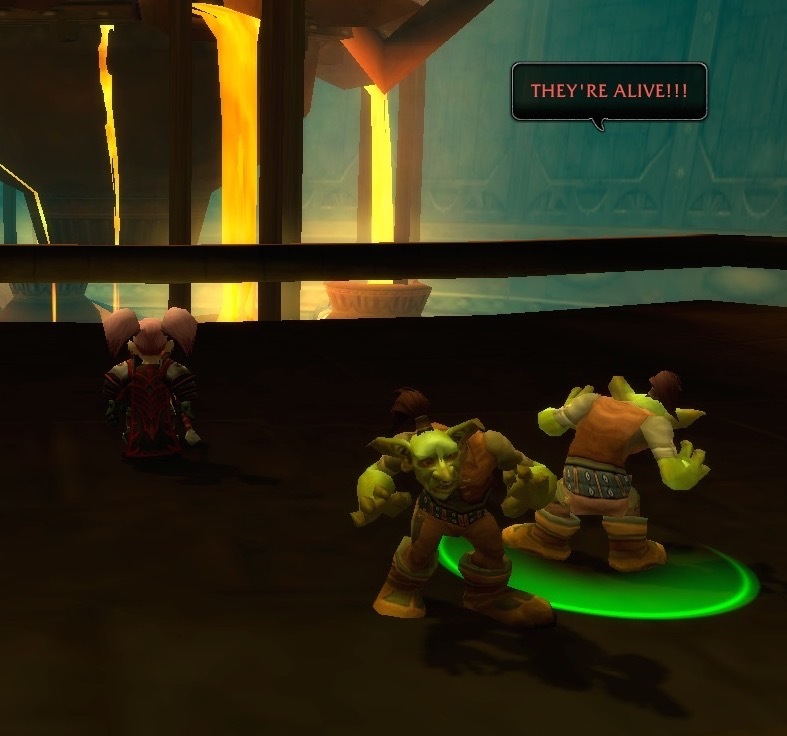 The next section of Deadmines is where the Defias ended up. 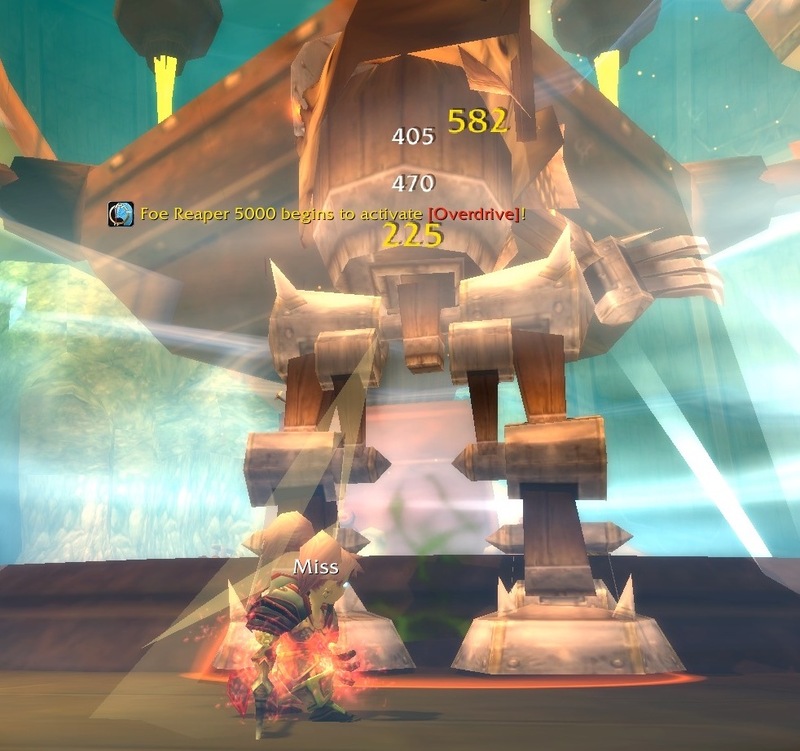 There are Defias Envokers who are providing some kind of buff for the miners. 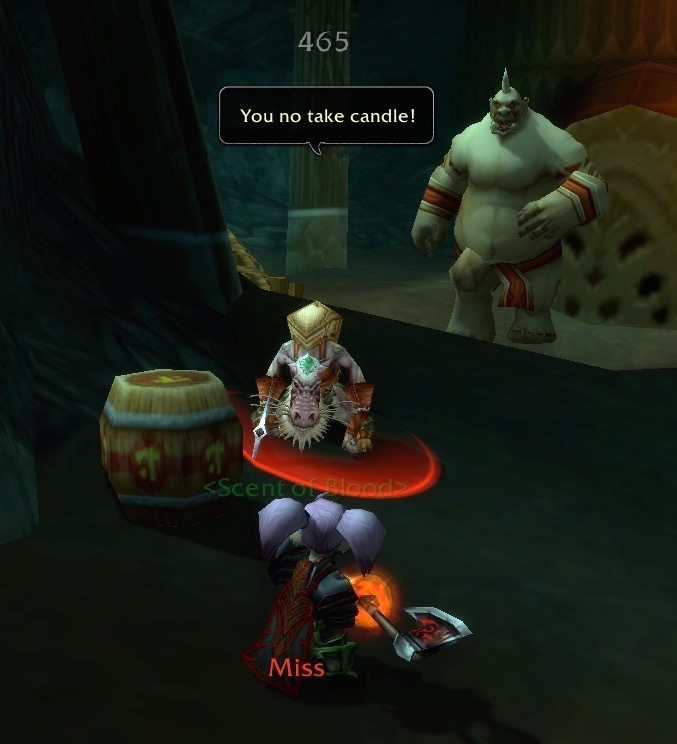 Riglee had to fight her way through all the Defias in this section. She used Death Grip to make that a little easier. 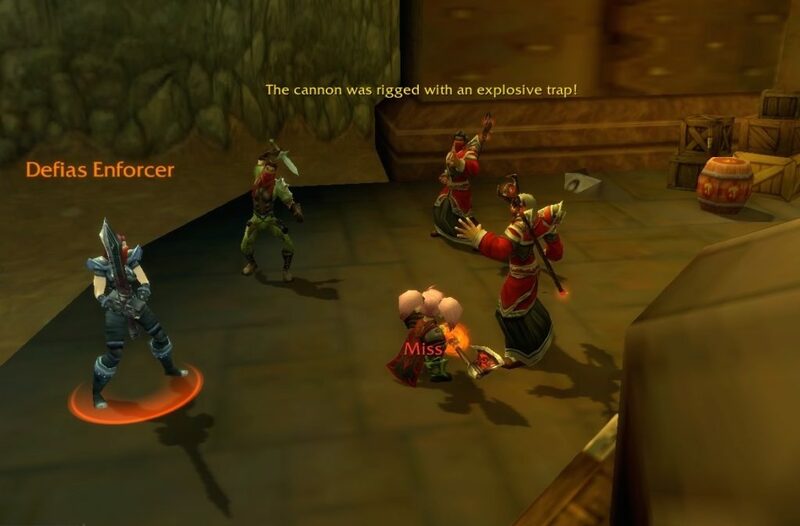 Riglee overhears a conversation between two Defias Bandits. In the middle of the pipe? We should tell the Admiral. No way! He gives me the creeps! At this point, I knew nothing about “the Admiral”, other than he is creepy. Thinking back, I don’t think any further information was given about what was stuck in the pipe, why it was a problem, or how it was resolved. 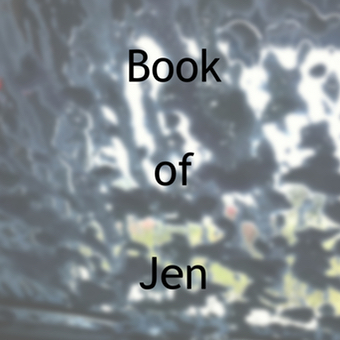 Behind the next giant door is…. No, it’s not really Gnomeregon. 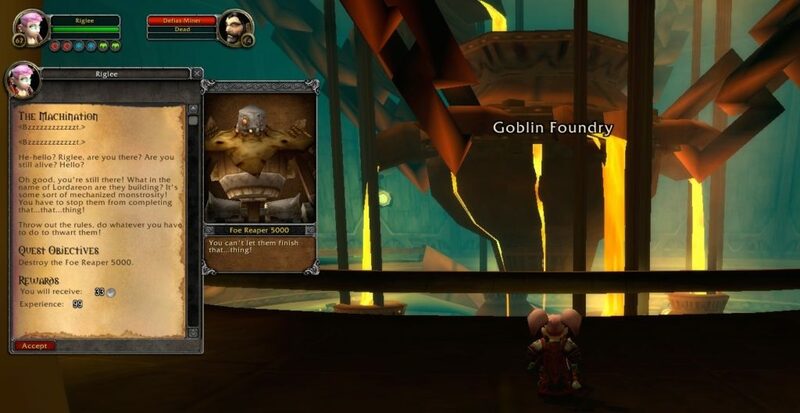 It is the Goblin Foundry – the location of the next “big bad” of Deadmines. Lieutenant Horatio Lane: He-hello? Riglee, are you there? Are you still alive? Hello? Oh good, you’re still there! What in the name of Lordareon are they building? It’s some sort of mechanized monstrosity! You have to stop them from completing that…that…thing! Throw out the rules, do whatever you have to to thwart them! 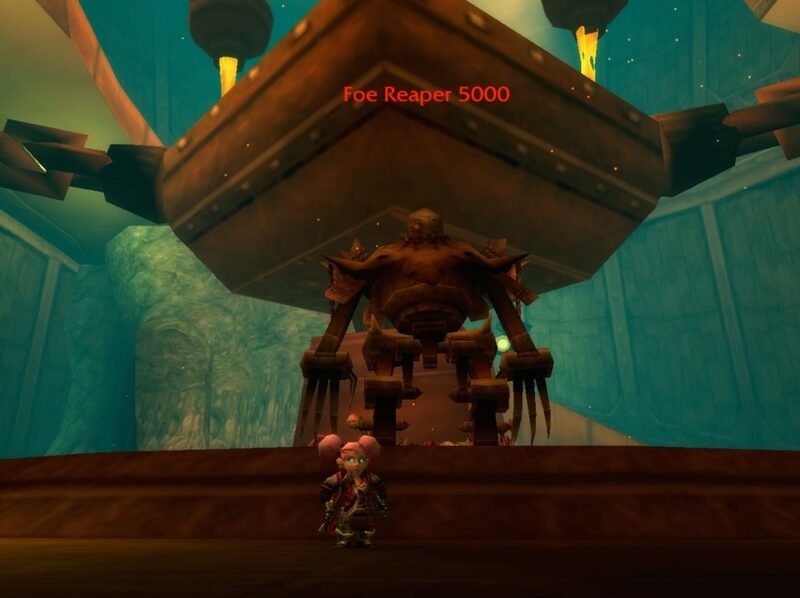 The Foe Reaper 5000 must be super scary. Even the Goblins who built it are afraid of that… thing (and the other things they built). They’re alive, and they have killed their creators. 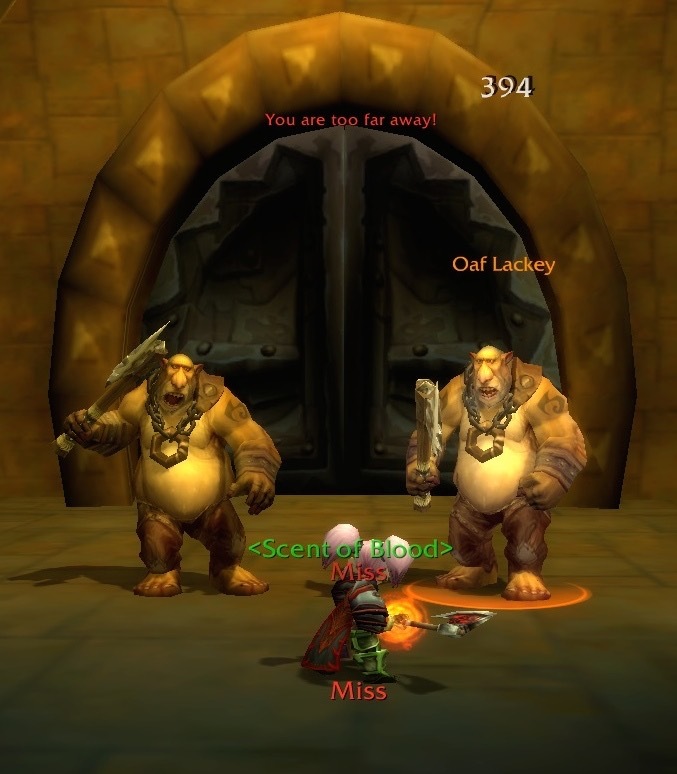 There are several Defias Watchers that you must fight. 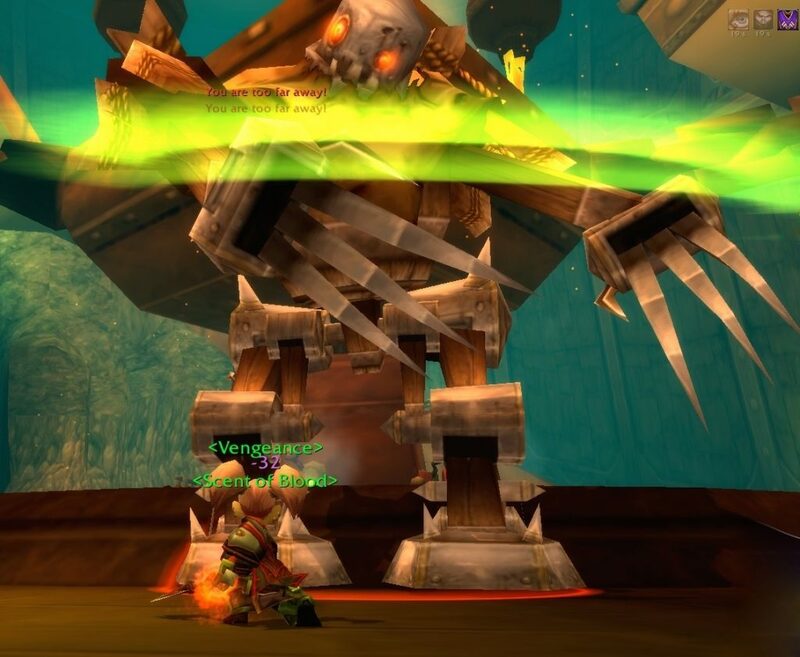 They look like the metal scarecrow things that are in some fields in Westfall. The “big bad” of this section of Deadmines is Foe Reaper 5000. Foe Reaper 5000: Foe Reaper 5000 on-line. All systems nominal. He says it in a robotic/computer voice. That was kind of cool! Foe Reaper 5000 begins to activate [Overdrive]! Foe Reaper 5000: Safety restrictions off-line. Catastrophic system failure imminent. Foe Reaper 5000: Overheat threshold exceeded. System failure. Wheat clog in port two. Shutting down. Wheat clog in port two? I can relate to that. 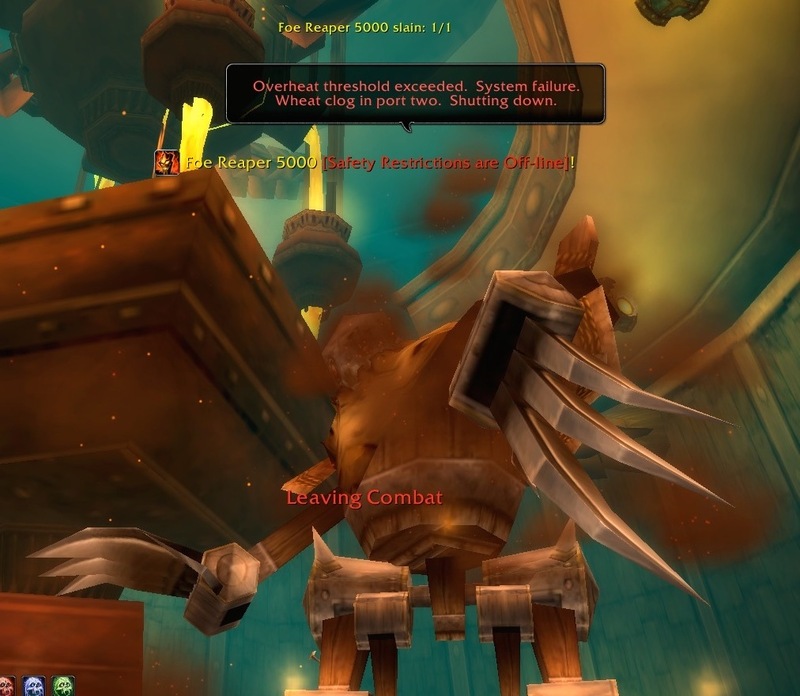 In the screenshot above, it says “Foe Reaper 5000 slain 1/1”. He either killed himself, or that “wheat clog” got him. Once again, Horatio appears with a new quest. 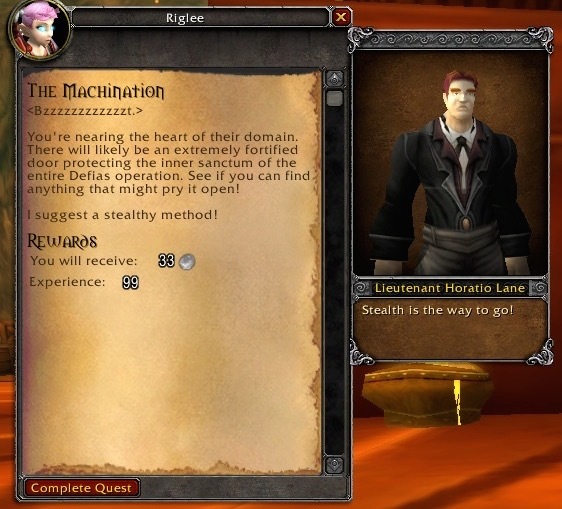 He sends Riglee to look for the inner sanctum of the Defias. Lieutenant Horatio Lane: You’re nearing the heart of their domain. 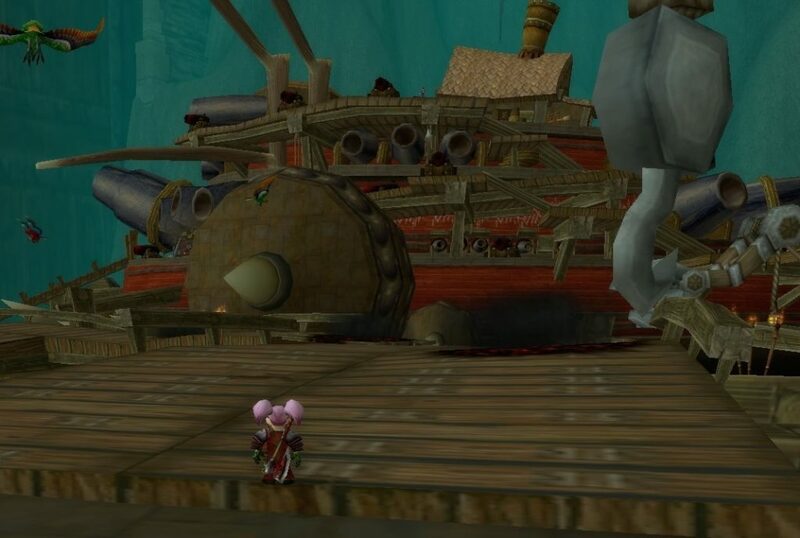 There will likely be an extremely fortified door protecting the inner sanctum of the entire Defias operation. See if you can find anything that might pry it open. I suggest a stealthy method! It is easy to find the next giant door. 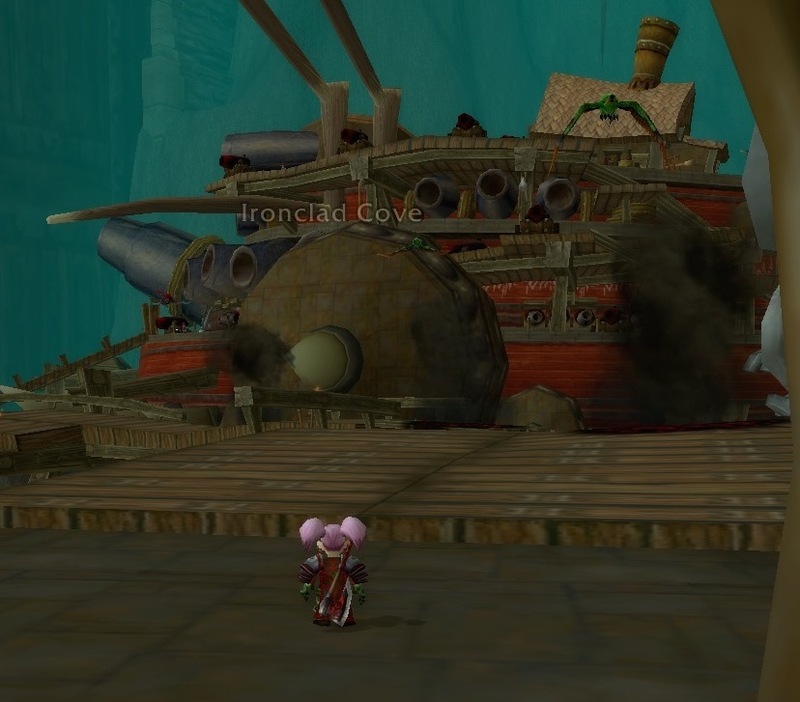 Head for the rigged cannon and a group of Defias will appear (and try to kill you.) Check out the guy holding the sword as though he has absolutely no idea what to do with it! Behind the giant door is… a scene from “The Goonies”, or maybe the Pirates of the Caribbean ride at Disney World. 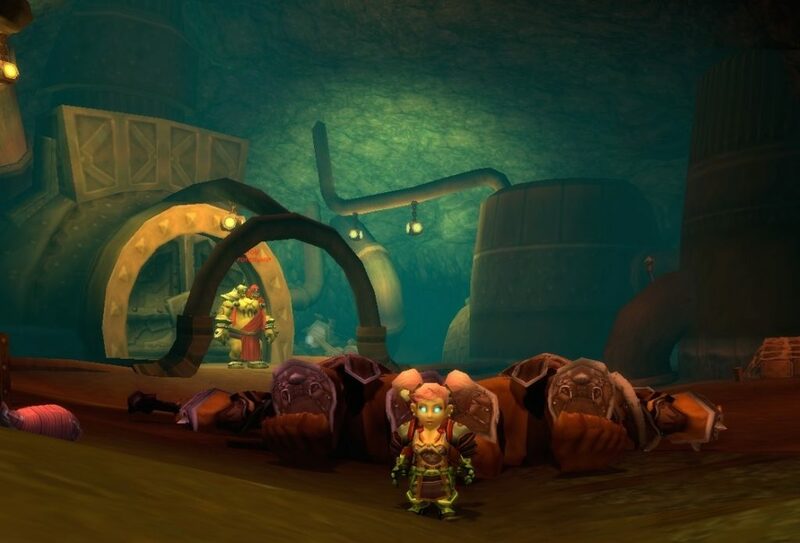 This area of Deadmines is called Ironclad Cove. Admiral Ripsnarl, Vanessa’s right hand man, is bound to be on board. We’ll never get to her if he’s still alive to do anything about it. 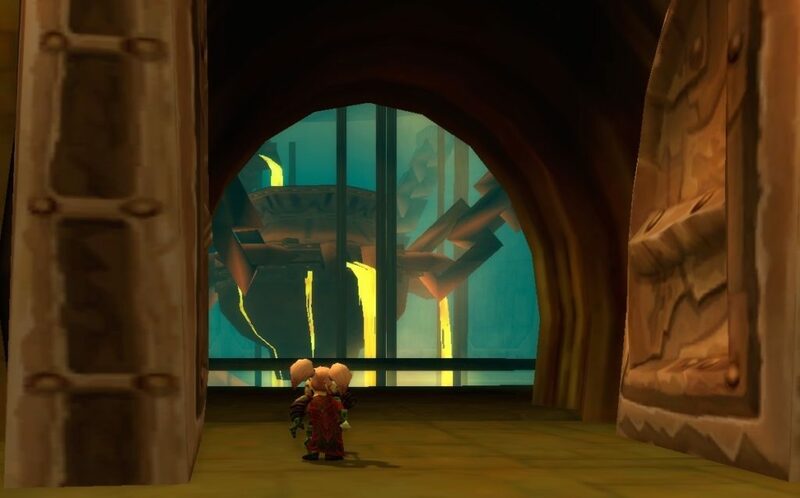 You’re going to need to scale the unfinished juggernaut, find Ripsnarl, and kill him so we can get to Vanessa’s private quarters on the top deck. 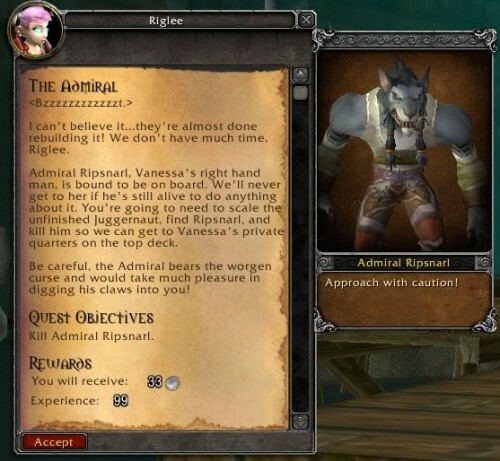 Be careful, the Admiral bears the worgen curse and would take much pleasure in digging his claws into you! 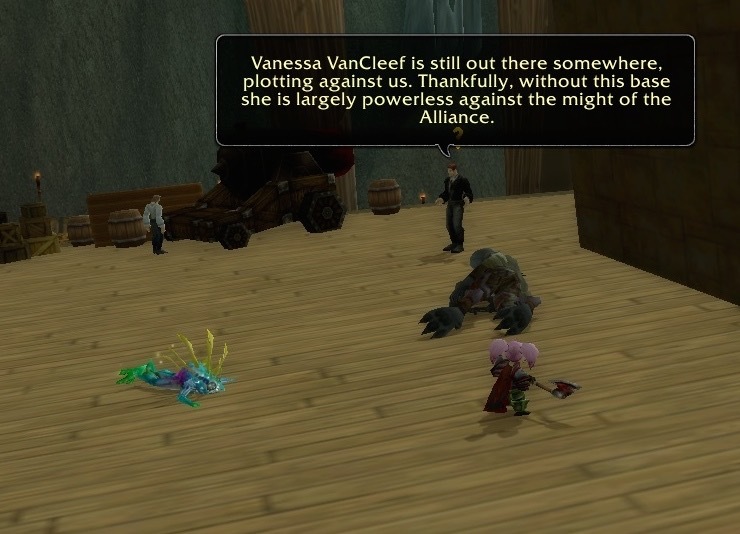 The next quest is to go after Admiral Ripsnarl “Vanessa’s right hand man.” Who is Vanessa? 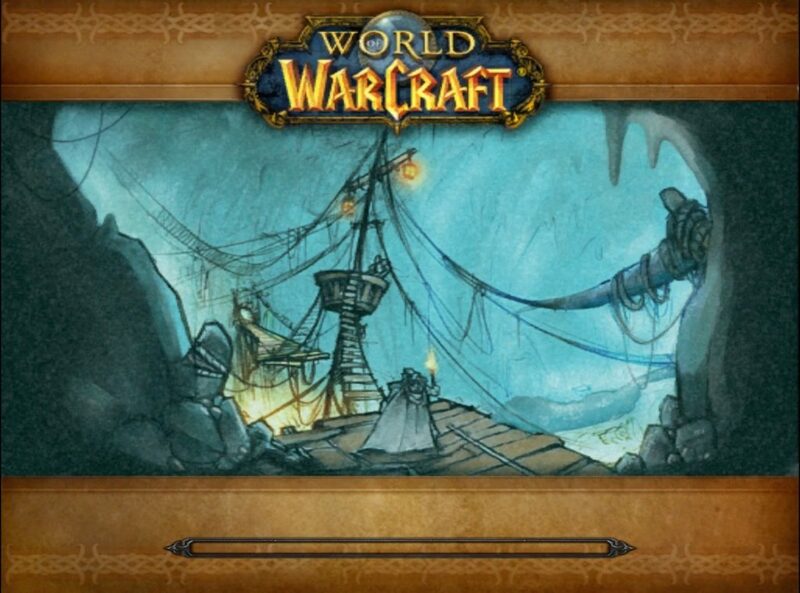 You must get on the boat and start fighting the Defias pirates. Climb to the top of the boat (and fight your way through it). Over there is Admiral Ripsnarl. 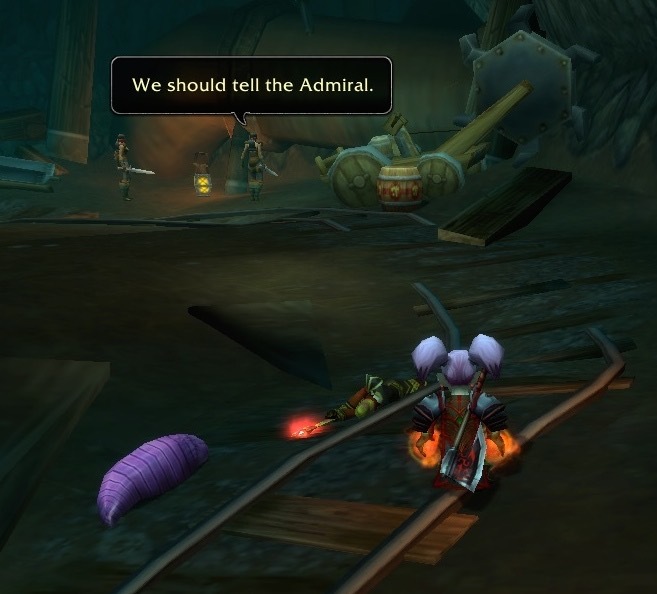 “Ah, Fresh Meat!” says Admiral Ripsnarl. As a Diablo III player (who also played a whole lot of Diablo 1) I recognize that as The Butcher’s line! Admiral Ripsnarl: Do you feel that chill running up your spine? “The fog is rolling in…” says Admiral Ripsnarl. Look closely, and you can see him dashing away. Vapor appears (and wants to fight you). Admiral Ripsnarl blips in and out. It’s an interesting fight. Riglee defeated Admiral Ripsnarl. He keels over (and three Vapors look on as if they don’t know what to do now). As he dies, he says “You will…NOT find her…until it is too late…” I can only assume he is talking about Captain Vanessa (whomever she is). I feel like I’m missing some lore here. 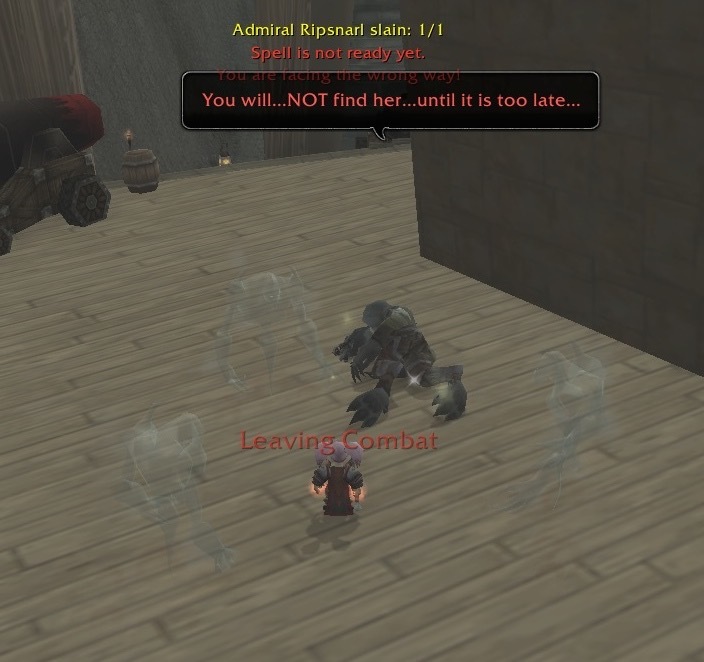 Two things happened as Riglee was looting Admiral Ripsnarl’s corpse. 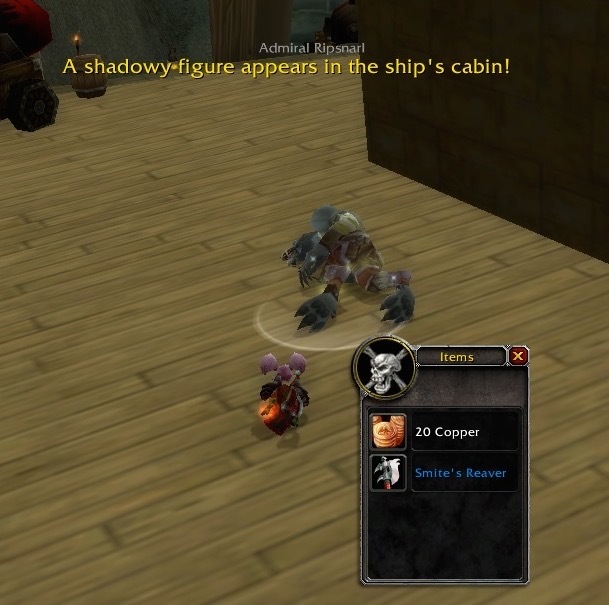 One: “A shadowy figure appears in the ships cabin!” Two: For some reason, Admiral Ripsnarl was holding “Smite’s Reaver”. That’s a throwback to the older version of Deadmines. 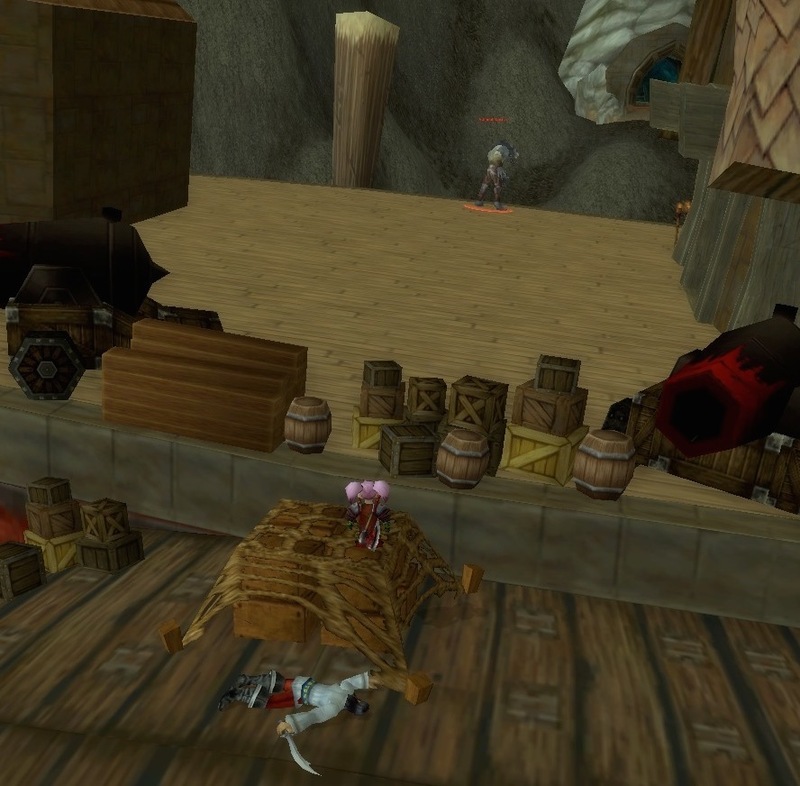 I remember that there used to be a Captain Smite (who was a Tauren, if I remember correctly). Lieutenant Horatio Lane: Your exploits have gained quite the following in the intelligence community, Riglee. 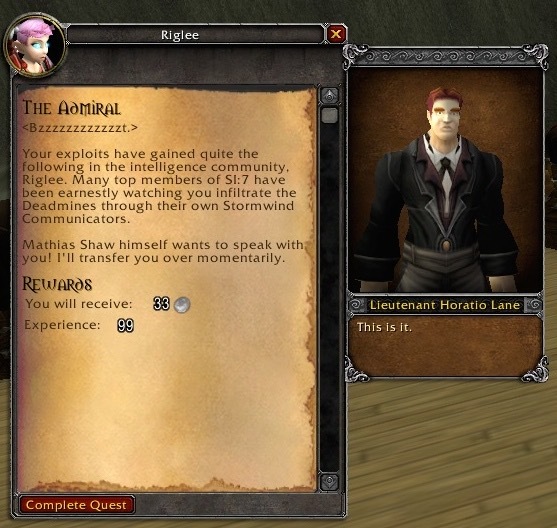 Many top members of the SI:7 have been earnestly watching you infiltrate the Deadmines through their own Stormwind Communicators. Mathias Shaw himself wants to seek with you! I’ll transfer you over momentarily. Horatio Lane contacts Riglee again… and passes her over to Master Mathias Shaw. The quest from Master Mathias Shaw is a “spoiler” for what is about to happen. Master Mathias Shaw: Hello there, Riglee. I’ve heard a great deal about you. Listen closely, you’re only going to have one solid shot at this. 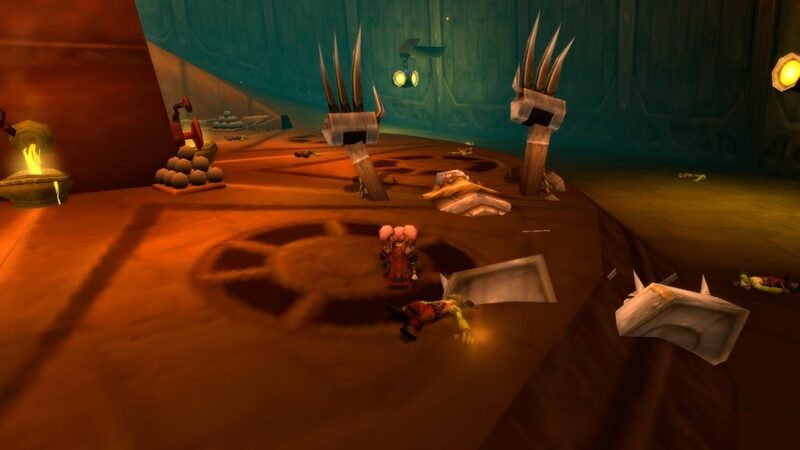 The new Defias Kingpin must be inside the hut orchestrating this entire operation. I want you to go inside and taker her down for the sake of the hundreds of innocent people the organization her father started has killed and terrorized. I’m shocked that she would let you get so close to her domain without fleeing and waiting until more favorable conditions, but it seems we’re in luck. Master Mathias Shaw directs Riglee to find “the new Defias Kingpin” who he believes “must be inside the hut orchestrating this entire operation”. There is a brief explanation of Captain Vanessa. Master Matthias Shaw says: “I want you to go inside and take her down, for the sake of the hundreds of innocent people the organization her father started has killed and terrorized”. 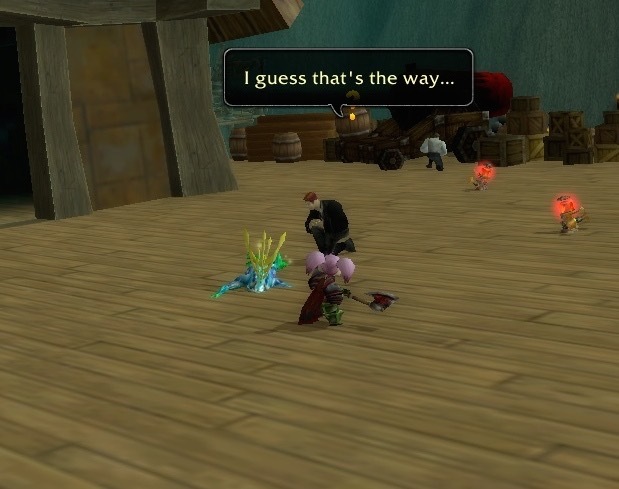 So… the Defias are a terrorist organization? 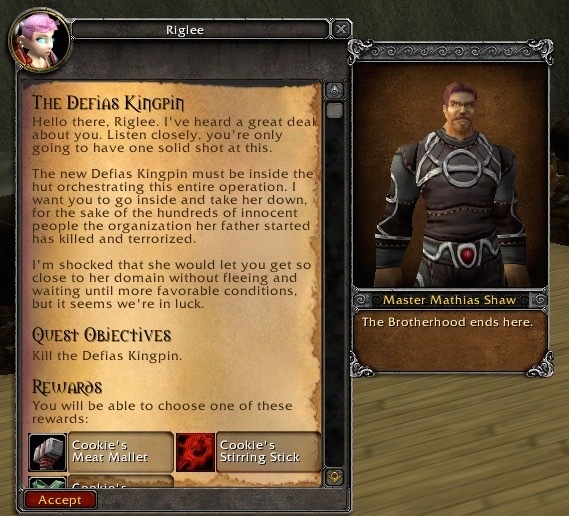 Master Matthias Shaw says he is “shocked” that the Defias Kingpen let Riglee get so close to her. It sounds like the next “big bag” will be Captain Vanessa. Look at the Rewards, though! After you complete the quest, you can choose from “Cookie’s Meat Mallet”, “Cookie’s Stirring Stick”, and “Cookie’s Tablecloth”. Why would Captain Vanessa be holding onto items with kitchen related names that all belong to “Cookie”? Ok, so who is hiding in the hut? Big surprise, Captain Vanessa is not hiding in the hut. 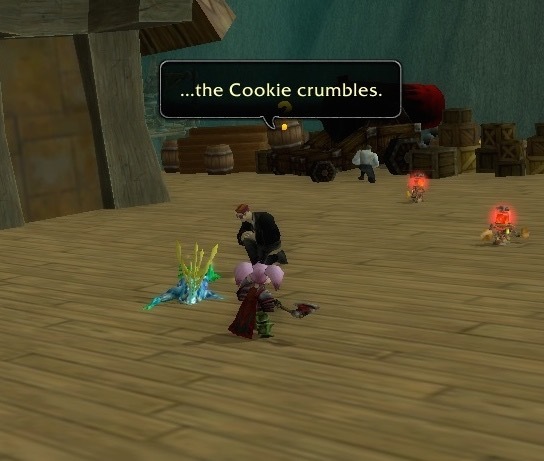 Instead, it is a Murloc called “Captain” Cookie. 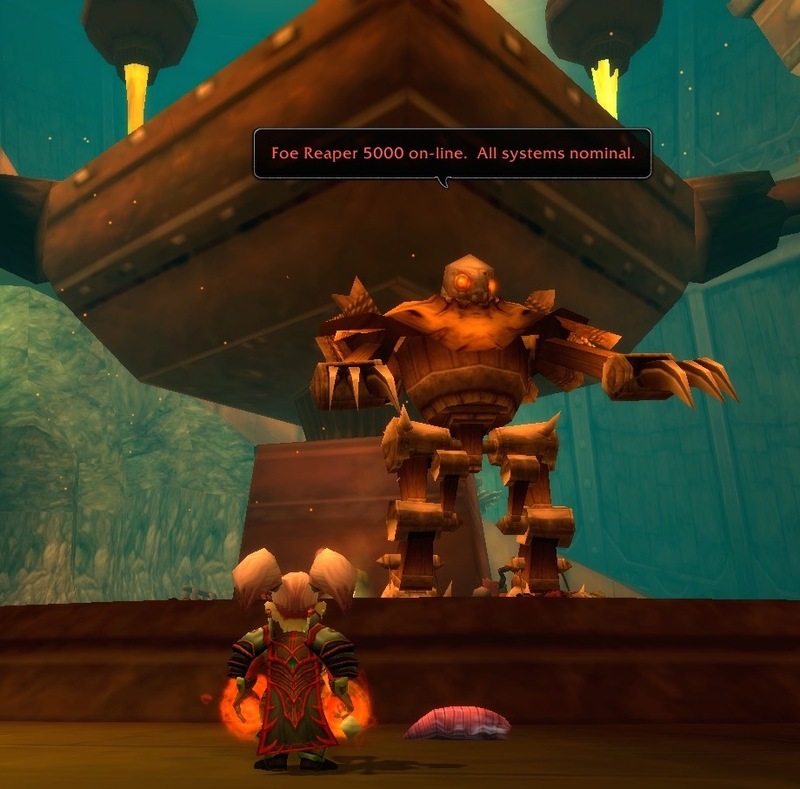 His guild says “Defias Kingpin”. What we have here is the cook of the organization acting like the Captain, while the real Captain … goes somewhere else, I suppose. 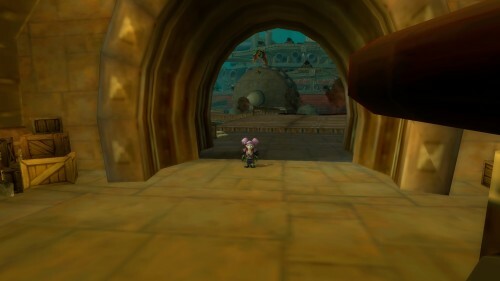 “Captain Cookie” sits in a giant cauldron and throws food at you. You can click on the food and gain life! 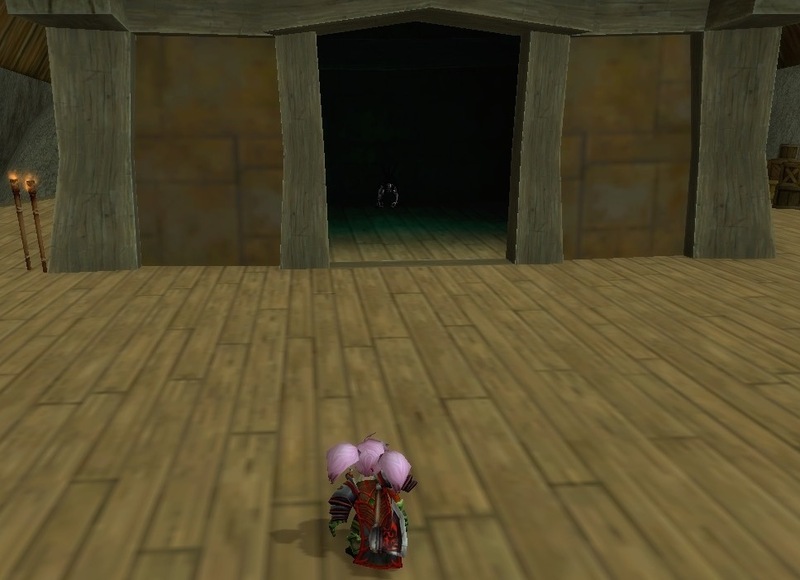 Kill “Captain” Cookie, and the giant cauldron disappears. A little Murloc, wearing a top hat, does a dance (like the frog on the Warner Brother’s cartoons). Horatio Laine: The false Kingpin has fallen, thanks to you adventurers. Riglee is by herself, but gets referred to as though she is plural (again). That’s because she is at a much higher level than players should be at when they go through Deadmines the first time. 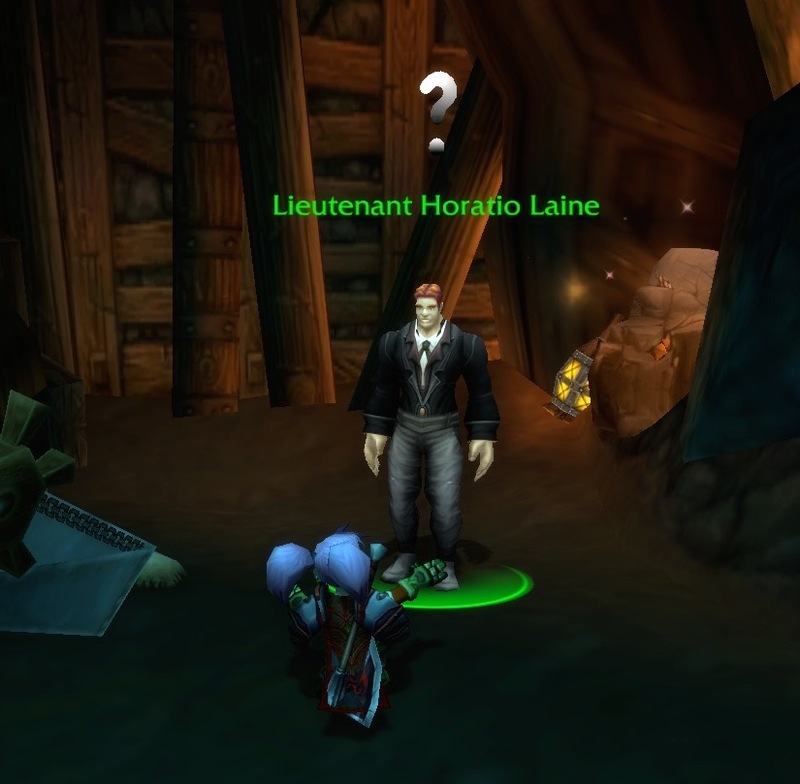 I get why that is worded as though Horatio Laine is talking to a group, but it still feels a bit weird. Horatio Laine: Vanessa VanCleef is still out there somewhere, plotting against us. Thankfully, without this base she is largely powerless against the might of the Alliance. Horatio Laine: …the Cookie crumbles. That’s the end of the Deadmines. Lieutenant Horatio Laine’s men take over the boat, and Crime Scene Alarm-o-Bot robots run around. Riglee got to take her choice of Cookie’s stuff as a reward and… that’s it. 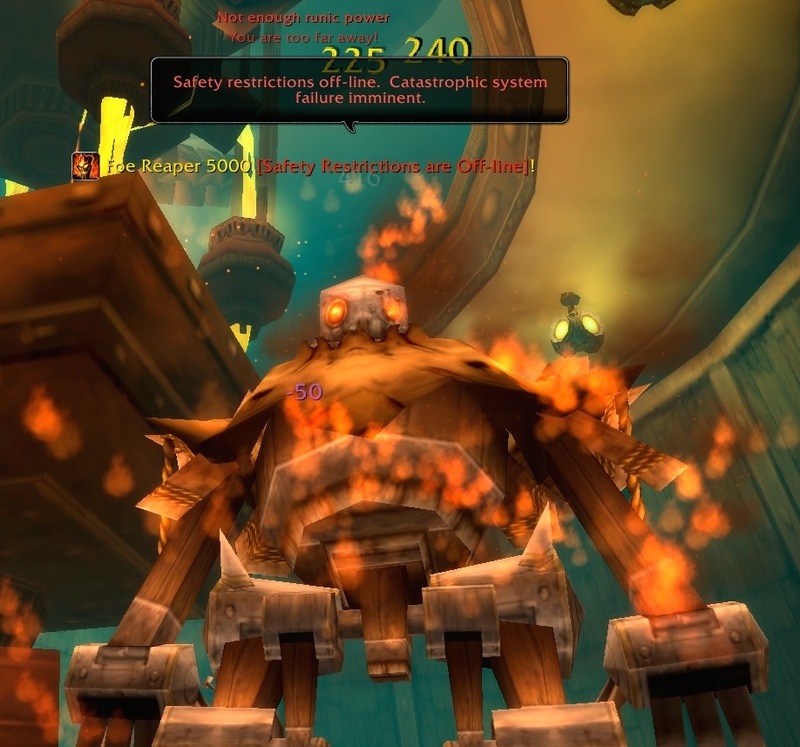 To me, this just did not feel like a satisfying ending for a dungeon. 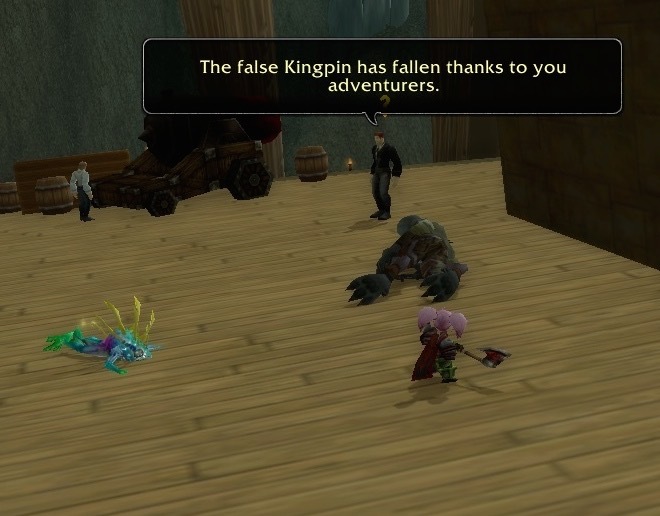 It felt like the NPC’s took over after you failed to locate the real “big bad”. It also felt like most of the “big bads” killed themselves. Time for Riglee to hearth on out of Deadmines. Nothing left to see (or do) here! Previous Heroes of the Storm: Technical Alpha – Finished the Tutorial?